Have you always wanted to travel back in time and get a taste of an ancient civilization? 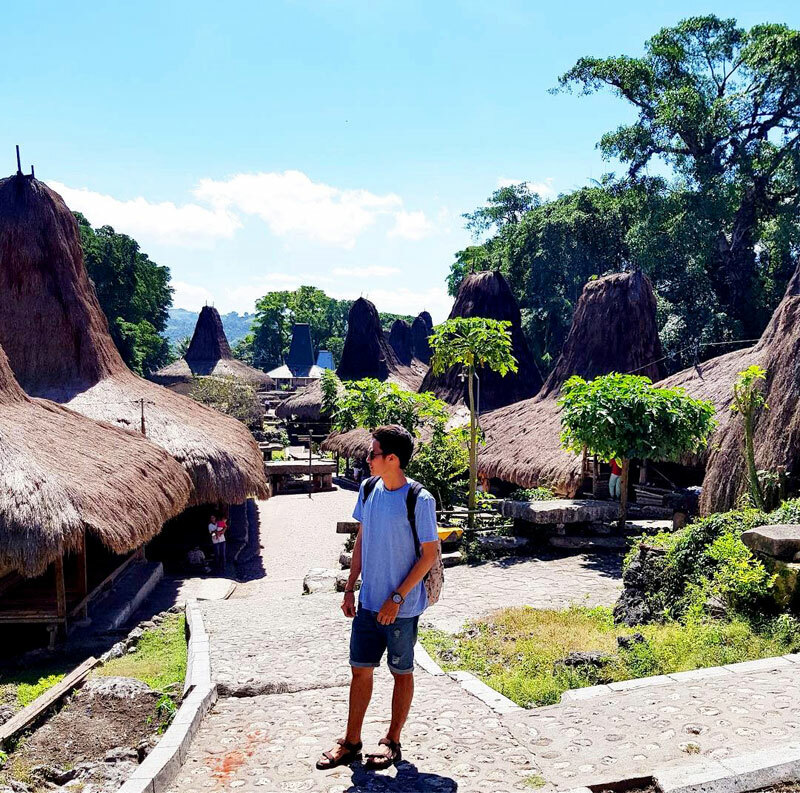 In Sumba, a mysterious and rugged island located in East Nusa Tenggara, southwest of Flores, you can get a glimpse of tribal villages built on hilltops and fortified by historic stone walls. 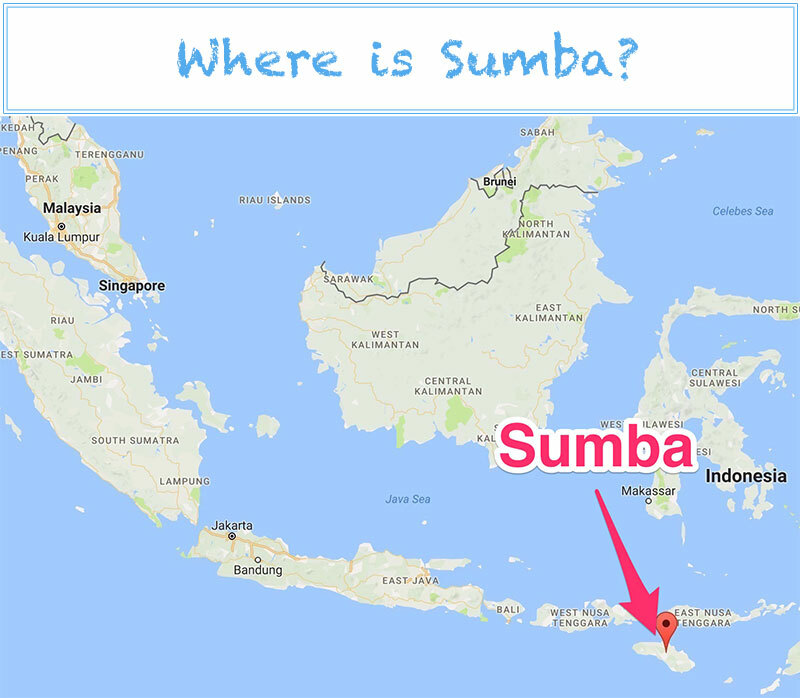 If the Skull Island from the movie King Kong is real, Sumba could be a pretty good candidate to fill that title. In fact, headhunting rites are still going on and you can literally find “skull trees” in the villages where severed heads would be displayed. Here, rolling savannah and uncharted limestone hills layer the countryside, while hilltop villages with thatched tribal homes are guarded by megalithic tombs. This is also one of the prime destinations for surfers around the world. 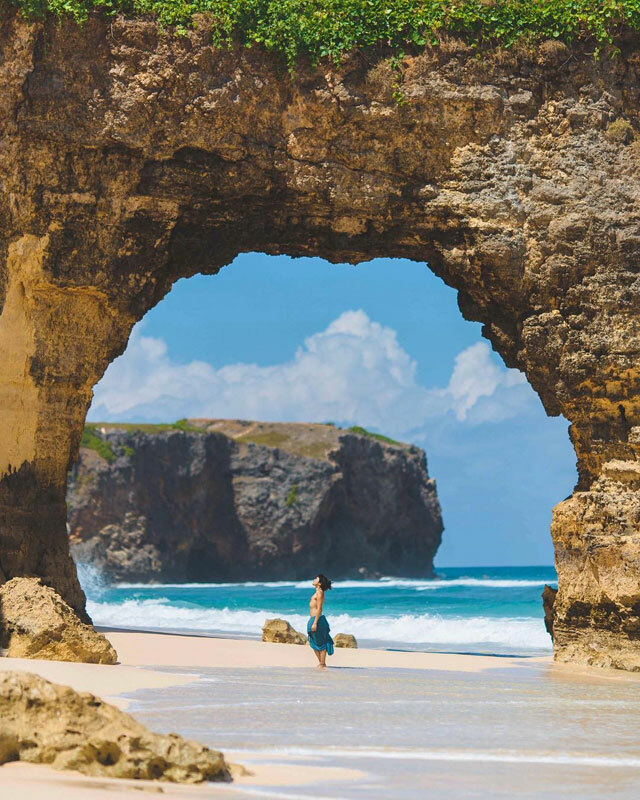 Sleepy Waitabula, the most easterly large town in Sumba, is your western gateway to Sumba and houses the island’s largest and most modern airport, Tambolaka. On the other hand, the capital Waingapu is a good choice if you want to stock up supplies, such as food, medication, and to arrange local transport and tours. 1. Return flights to Bali (about 2 hours) via Lion Air or Garuda Indonesia start from Rp 1,171,200 (approximately USD 88). 2. 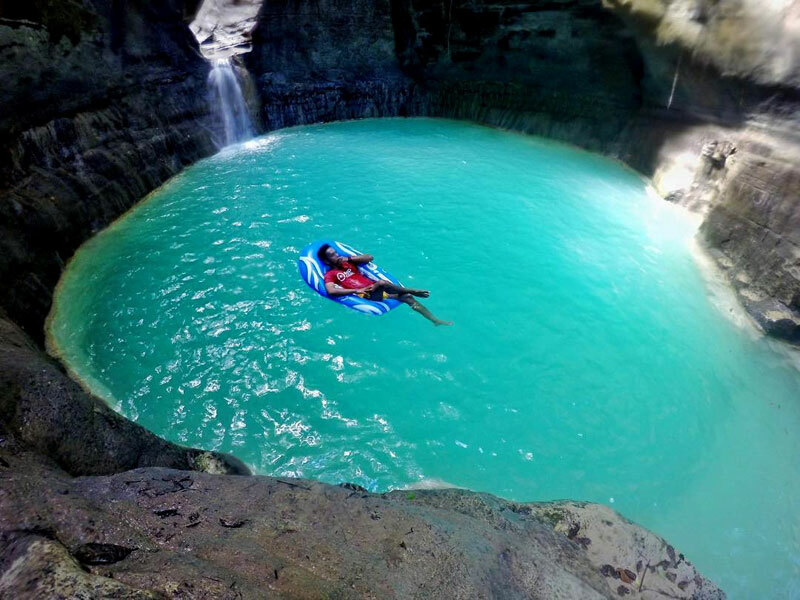 Then, fly to Tambolaka (about 1.5 hours) via Lion Air or Garuda Indonesia, with return fares starting from Rp 1,155,000 (approximately USD 87). 2. After which, fly to Tambolaka (about 1.5 hours) via Lion Air or Garuda Indonesia, with return fares starting from SGD 120 (approximately USD 88). 1. Fly to Tambolaka (about 1.5 hours) via Lion Air or Garuda Indonesia from Ngurah Rai International Airport in Bali with return fares starting from Rp 1,155,000 (approximately USD 88). You can either hire a car or bike around the island on a motorbike. Depending on distance and your negotiation skills, a car with driver costs around Rp.600,000 to 1,000,000 (USD 45 to 75) per day. Self-drive motorbike hire is way more fun and it’s a lot cheaper at around Rp.75,000 to 150,000 (USD 6 – 11) per day. 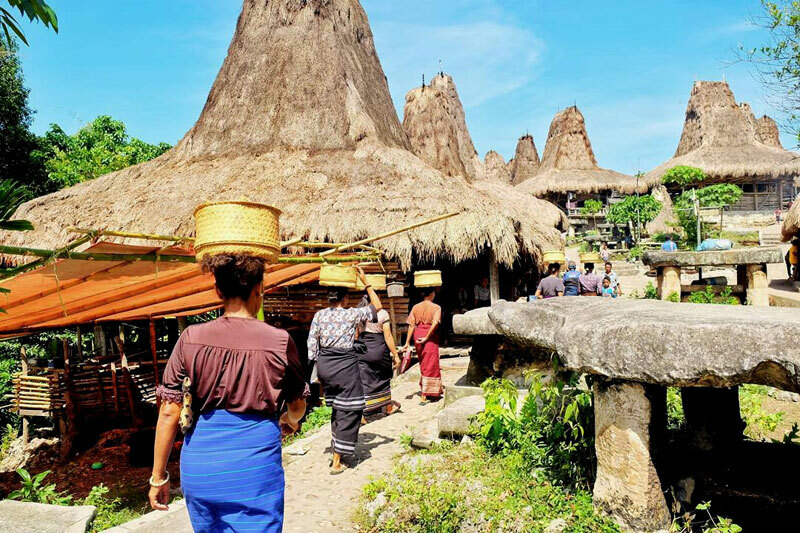 If you don’t speak Bahasa Indonesia, we recommend bringing along a friend who does, so that it’s easier to communicate with the locals and you can get a better deal during negotiations. 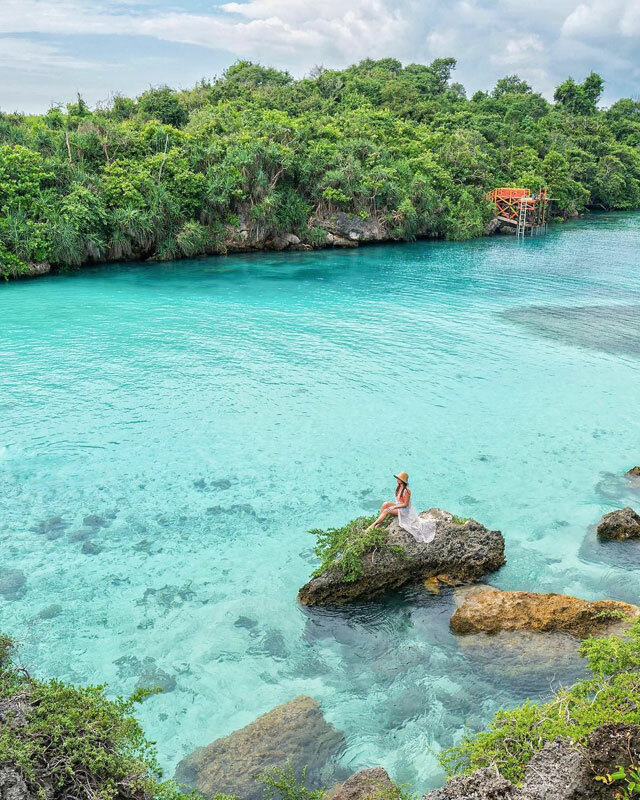 From out-of-the-world waterfalls to ancient tribal villages, Sumba will surely be the one destination that you won’t forget. 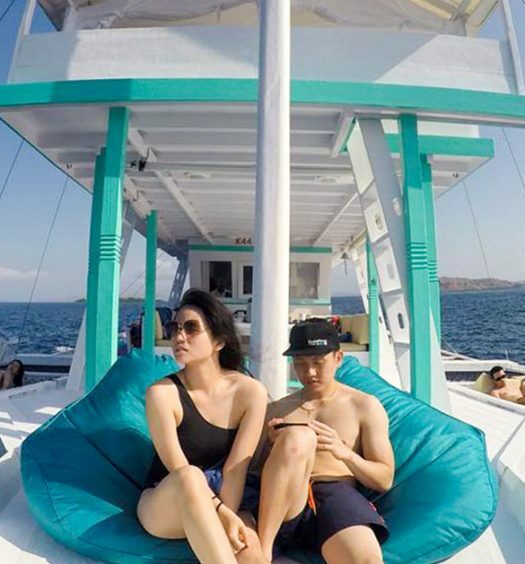 Although slowly gaining traction on social media, the island is still considered to be a fairly secret destination, so if you are up for an exotic adventure, pack your bags and we’ll show you where to go! Be warned, this man-made waterfall and dam is purely for your visionary pleasure and not suitable for swimming at all! Churning up to 1,000 litres of water per second, Waikelo Sawah used to be a part of a hydropower plant managed by the government in 1976. 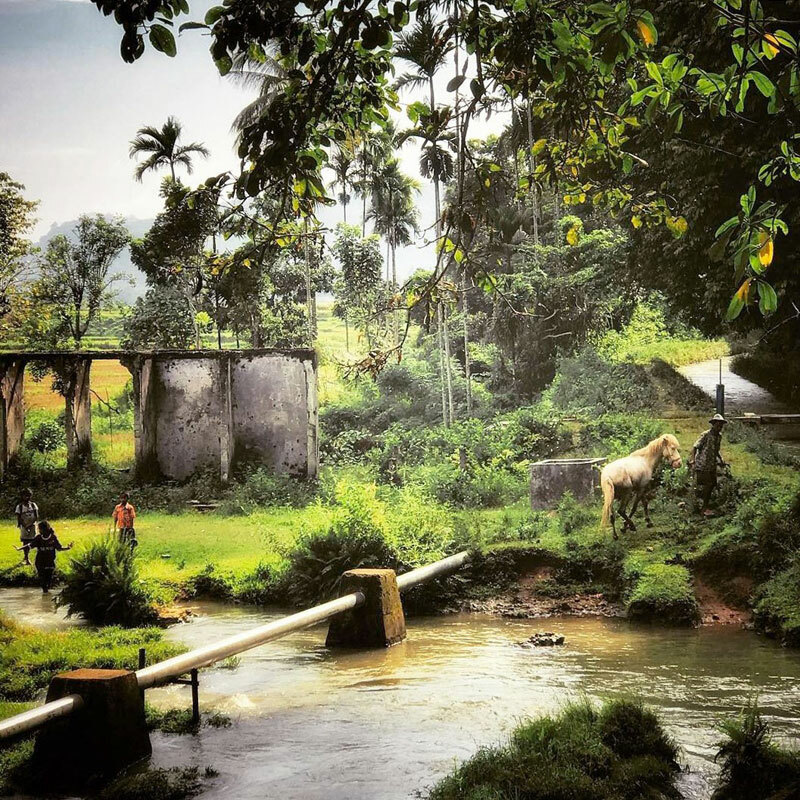 The current runs fast and strong, giving life to the lush paddy fields and acting as a water source for the locals’ daily wash or leisurely bath. 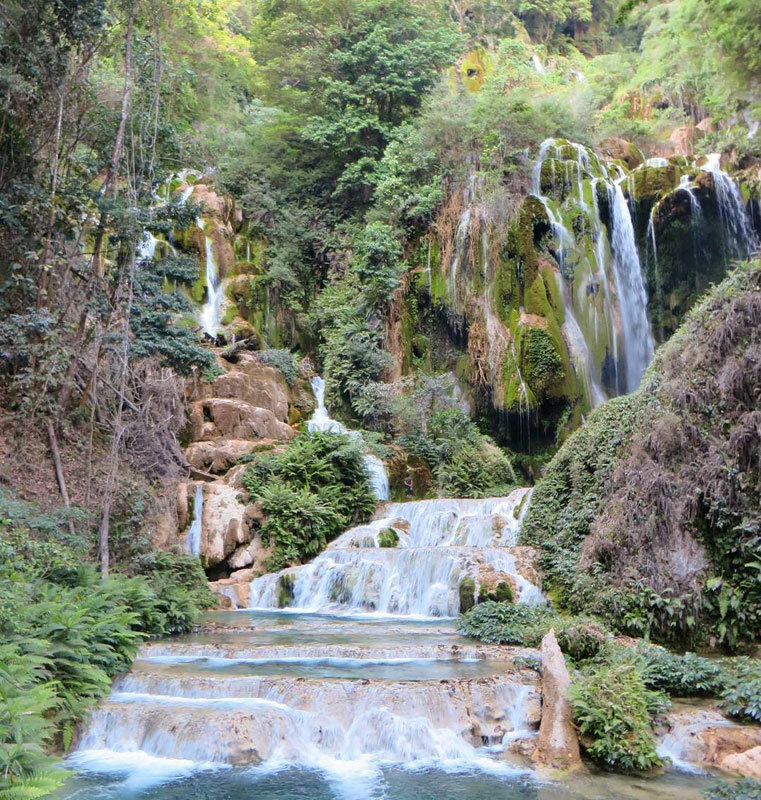 Surrounded by the verdant greenery under the foot of the hill, this waterfall is also situated under several magnificent caves. 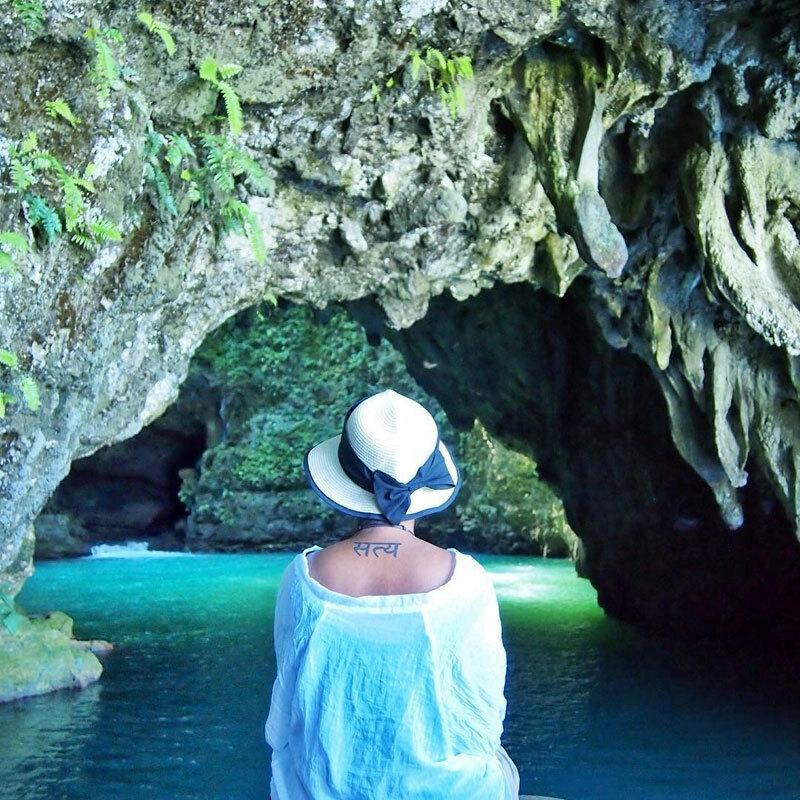 As a result, you have one of the nature’s best architectural design – a cave lagoon framed by the panoramic emerald green and the most exotic stone entrance. An instant favorite for all, the best time to visit Waikelo Sawah is around February, March and November. 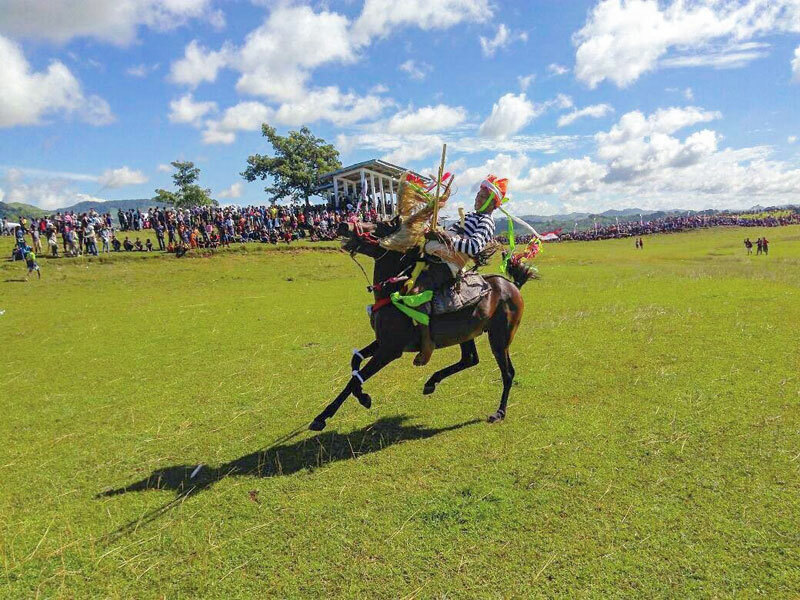 You’ll get to witness the traditional annual rituals in Sumba such as Pasola, a spear-fighting equestrian game and Wula Podu, a sacred local dance. Waikelo Sawah is located in Tema Tana Village, East Wewewa, Sumba. You should pass it enroute from Tambolaka airport to the city centre Waikabubak. It’s around 12km from the capital of Tambolaka and takes about 40 minutes by car to get there. You may also opt for an ojek (motorbike taxi) from Tambolaka. Coordinates of Tema Tana Village here. At this paradise lake, the turquoise water turns gold at sunset – a magical moment you don’t want to miss! Separated by cliffs, this tidal lagoon is only 20 metres away from the sea with a sandy bottom and cool waters that are perfect for swimming. Sit under one of the shady trees while dipping your feet in the cool water and marvel at the beauty of your surroundings. Like many hidden gems on this island, you won’t find many people here. Come in the morning when you can see the sunlight piercing through the water to the bottom of the lake, and get your snorkel goggles on! Who says the best treasures on earth are gold and diamonds? 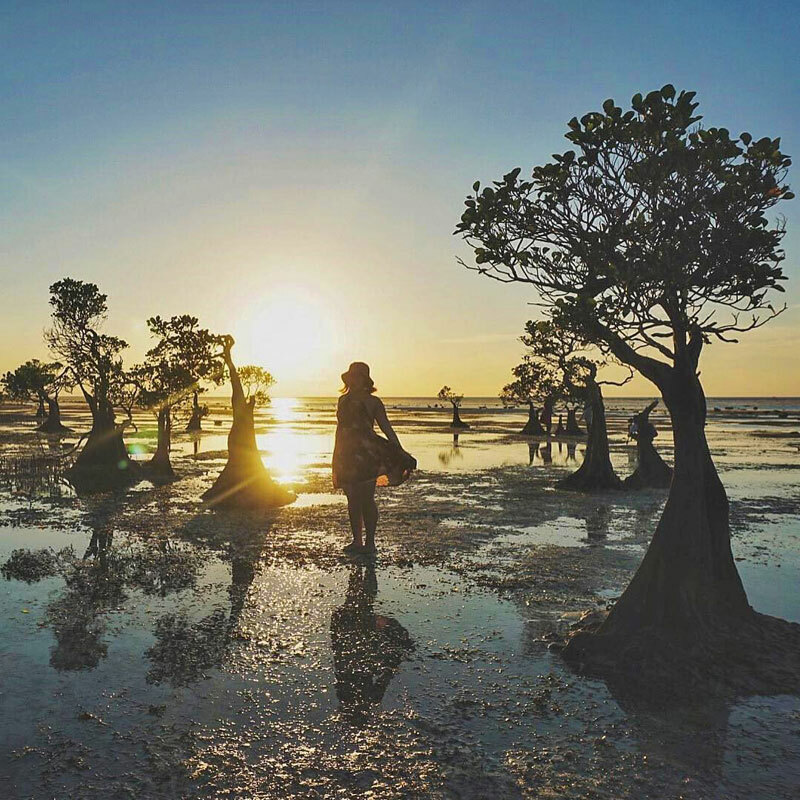 Weekuri Lagoon is located north of Kodi, in the western region of Sumba and it takes 2 hours to drive from Tambolaka. This is one of the few places on the island where you’ll find traditional bamboo-structured homes with dramatic rooftops as high as 25 metres tall. 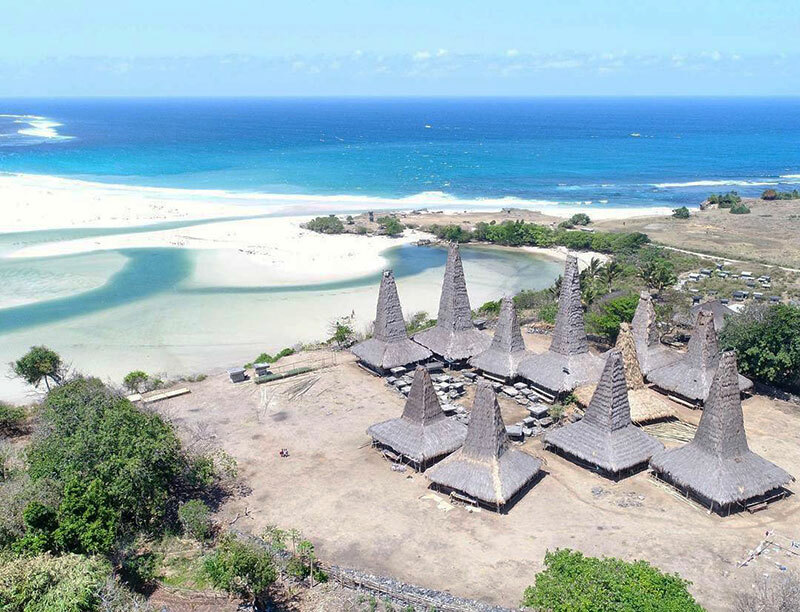 Like other villages in Sumba, the tall roofs were built to honour ancestral spirits according to their Marapu faith. 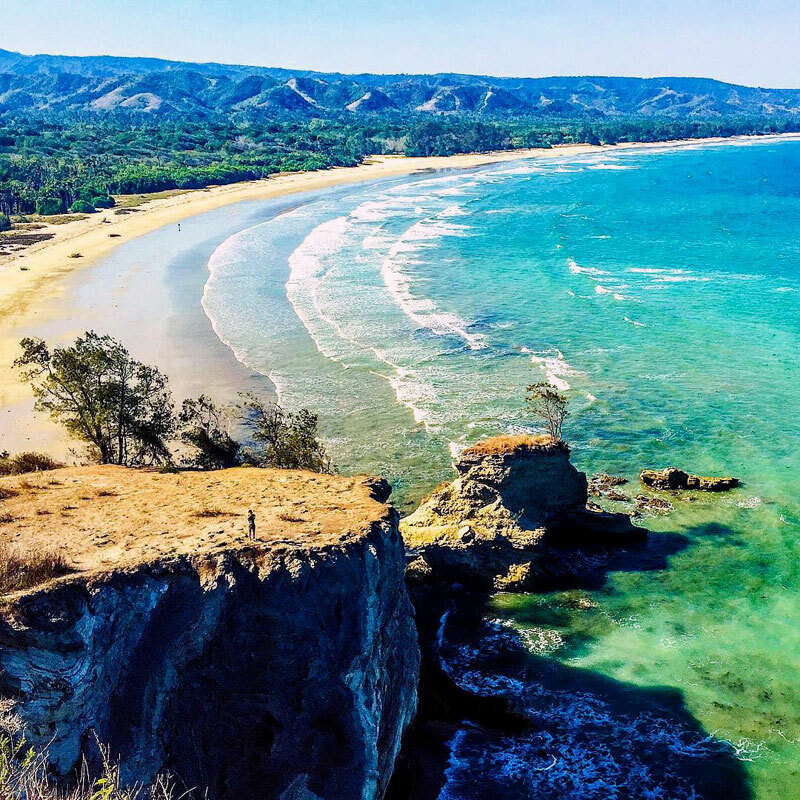 The quaint beach is a perfect addition to this small village in southwestern Sumba. The water is clear and the waves are sizable with long rolls, suitable for surfing. About 500 metres from the village along the coast, you can also spot some megalithic tombs dating back to 4500 years ago. Ratenggaro village is 50 kilometres southwest of Waitabula. Catch a bus to Bondokodi and hire an ojek from there. Coordinates here. Editor’s note: This place has unfortunately been burnt down in Oct 2017 and is no longer open. As you step into the ancient village of Kampung Tarung, you’ll immediately know that you have been transported back in time. Located on the top of the hill overlooking Waikabubak town, the houses (known as “Uma” among the locals) resemble those in Ratenggaro. The stage-shaped houses with hay roofs are made completely out of natural materials such as bamboo and roots. The houses are arranged neatly and encircle the village square, where you will notice a megalithic tomb, a Marapu temple, and a pole on which they used to hang the heads of their enemies. Determined to preserve their heritage, the village still maintains its traditions and rituals. If you visit Kampung Tarung between the full moon in October and the full moon in November, you’ll get to witness Wula Podu, a festival during which the men hunt for wild boars in the neighbouring forests. From the capital Waikabubak, travel via an ojek for about 15 minutes. 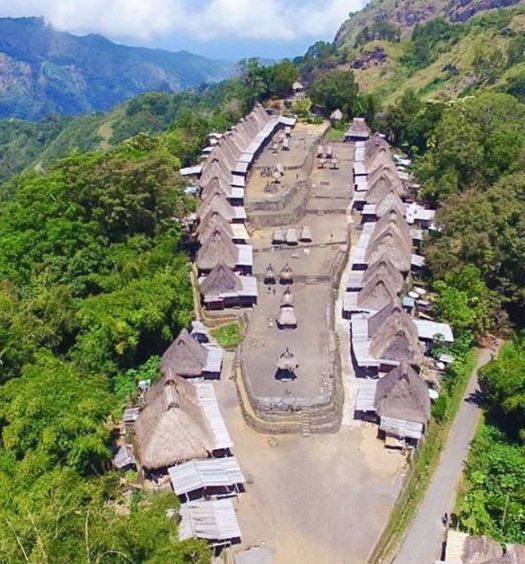 Alternatively, you can also take a tour package from Flores Exotic Tour, which includes this village in their itinerary. Coordinates here. 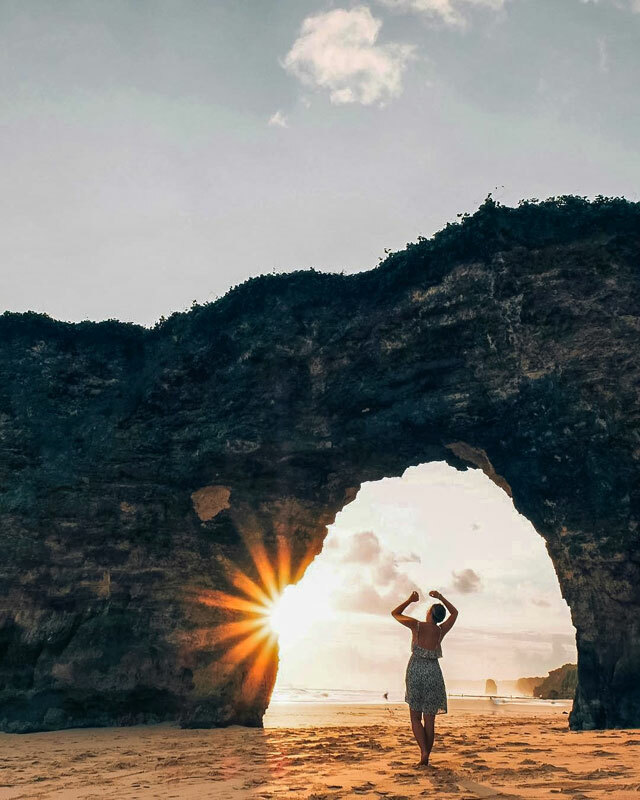 Imagine posing on a white soft sandy beach with a tall picturesque arch cliff as your background – that’s going to be one of your proudest photo moment. 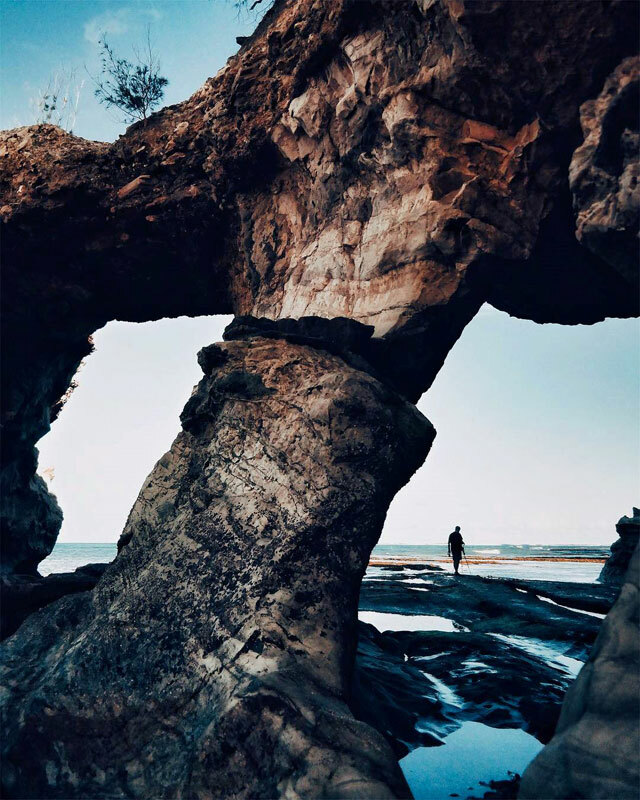 On the beach, you’ll notice its iconic arch – essentially a large hole in the rock formation that stands firmly on the shoreline while the waves crash in. 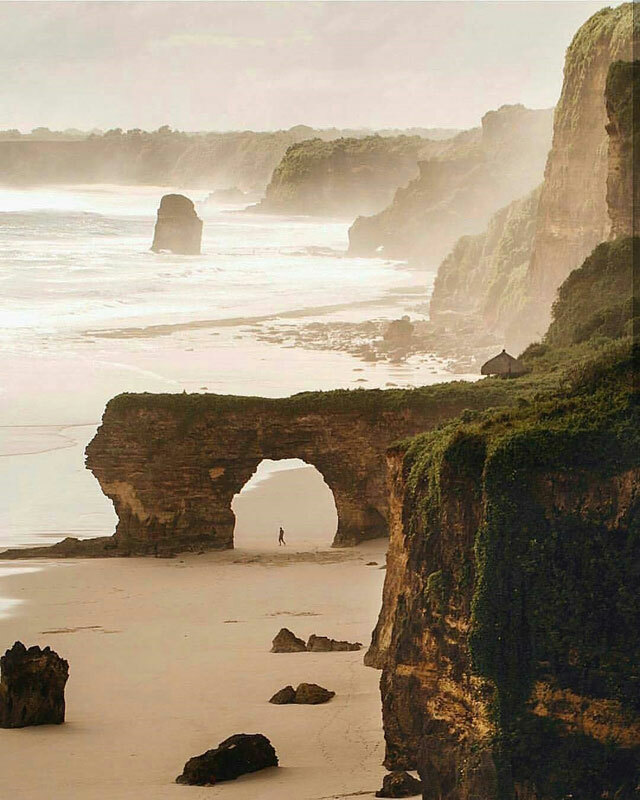 From a distance, the view at Bawana beach will remind you of the amazing green cliffs in Ireland. You will see miles of unspoiled beach with pounding waves lined along the majestic cliff. You’ll likely have the beach all to yourself, and we recommend going during sunset to catch an even more magnificent view! Bawana Beach is in Kodi, and is best reached via car or motorbike. It is approximately a 1-hour drive from Tambolaka airport. 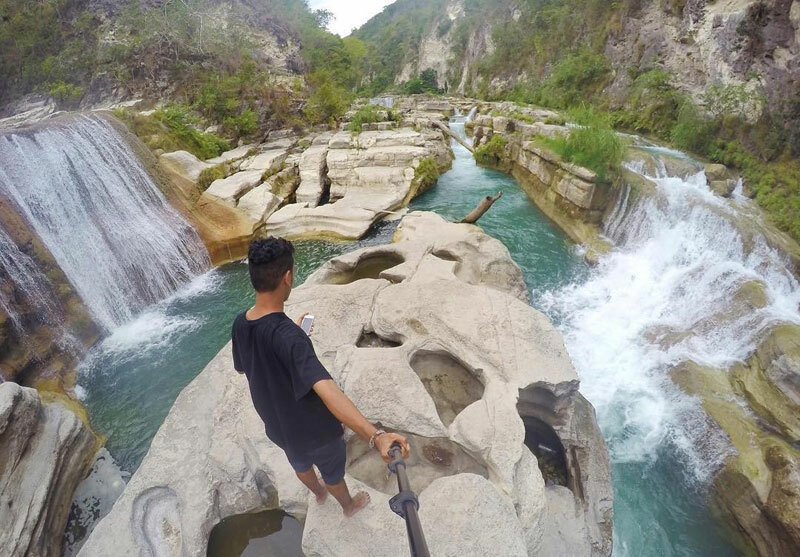 Waimarang is one of Sumba’s most beautiful waterfalls. 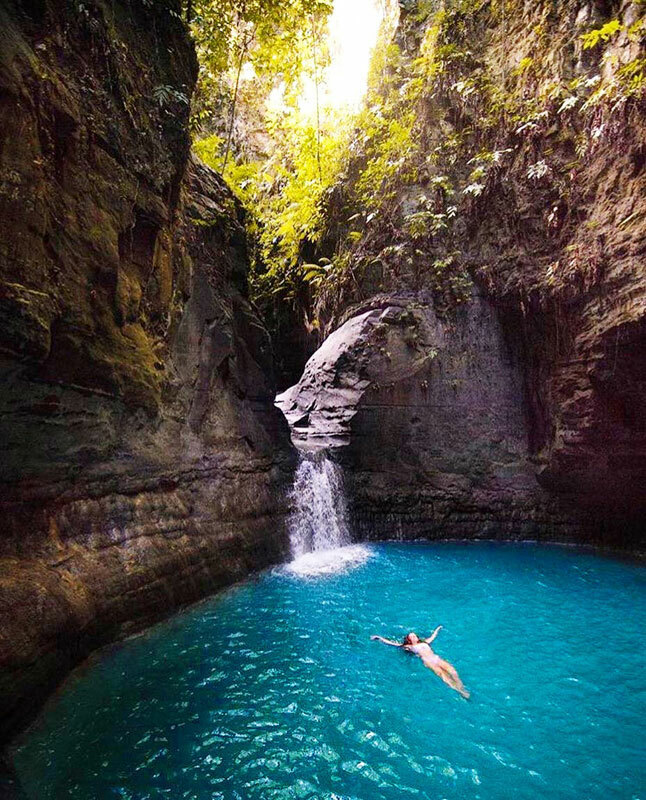 The main draw of this place is the sublime and otherworldly waterfall pool. The rock wall surrounding the pool creates the feeling of being in a cave, with the wall covered in green moss and vegetation of the dense forest towering above. This is the perfect Indiana Jones’ adventure. What treasures can you find? Definitely an experience you can’t miss! 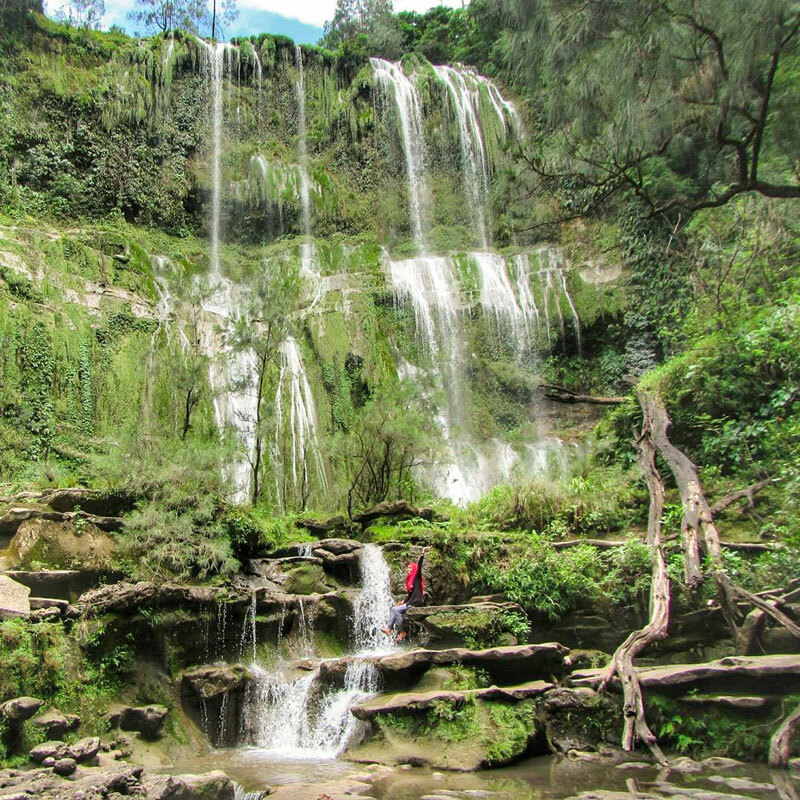 Very few travellers have discovered this waterfall, and because of its hidden location, you’ll have to ask the locals for hiking directions. The road there is unmarked and requires some climbing and hiking down a very steep hill, so no beginners here! 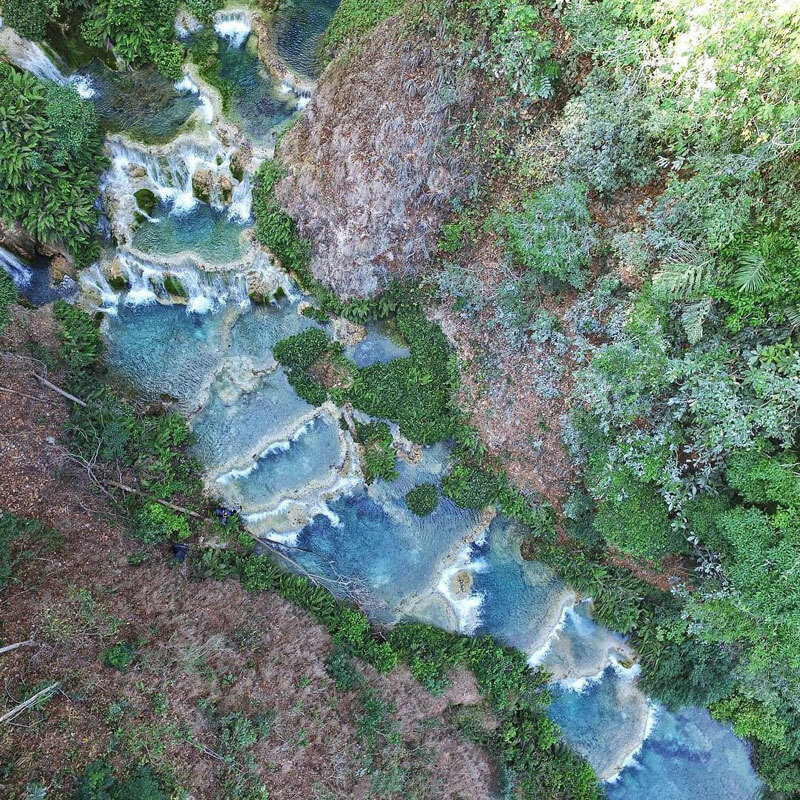 Drive to Melolo town in East Sumba and ask the locals there for hiking directions to the waterfall. Coordinates here. 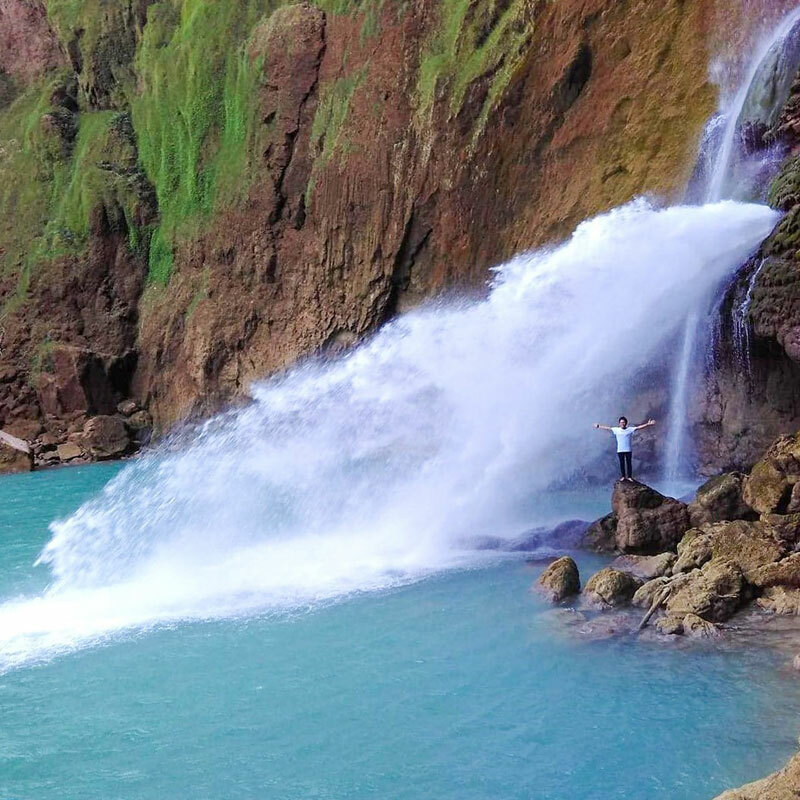 You will pass through the traditional villages of Mondu and Prainatang while travelling to this waterfall, which has been gaining popularity from the locals and visitors alike. 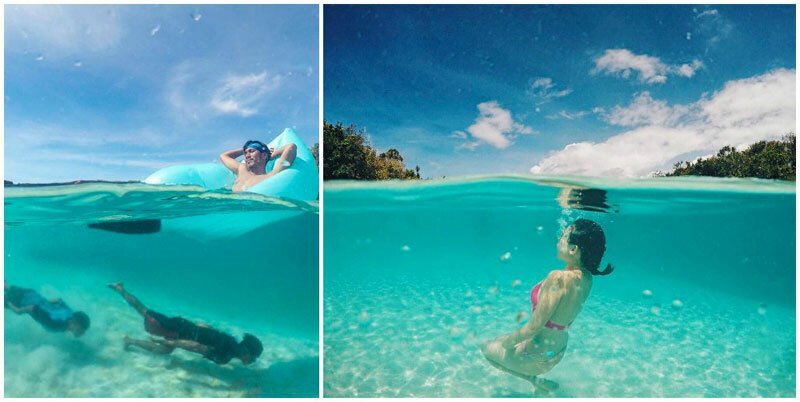 Judging from the awe-inspiring photos, we can see the reason why it’s popular! 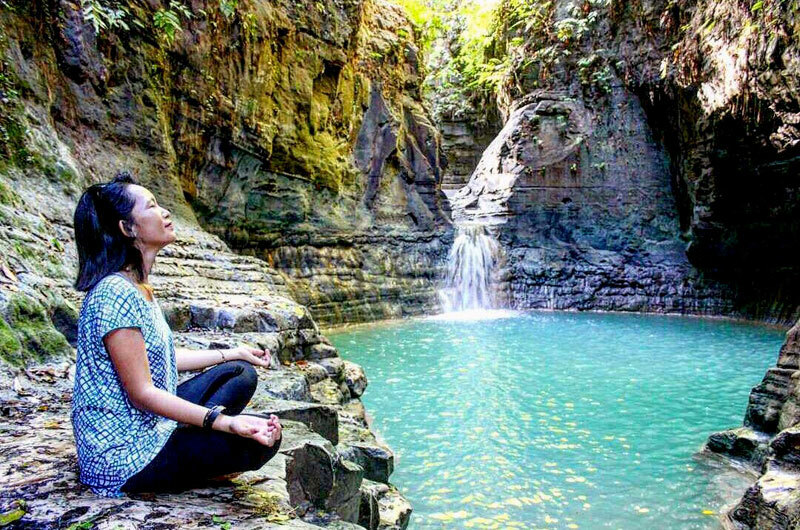 Between rock formations that resemble a canyon, clear and cool water tumbles down from the waterfall, surrounded by unspoiled nature. 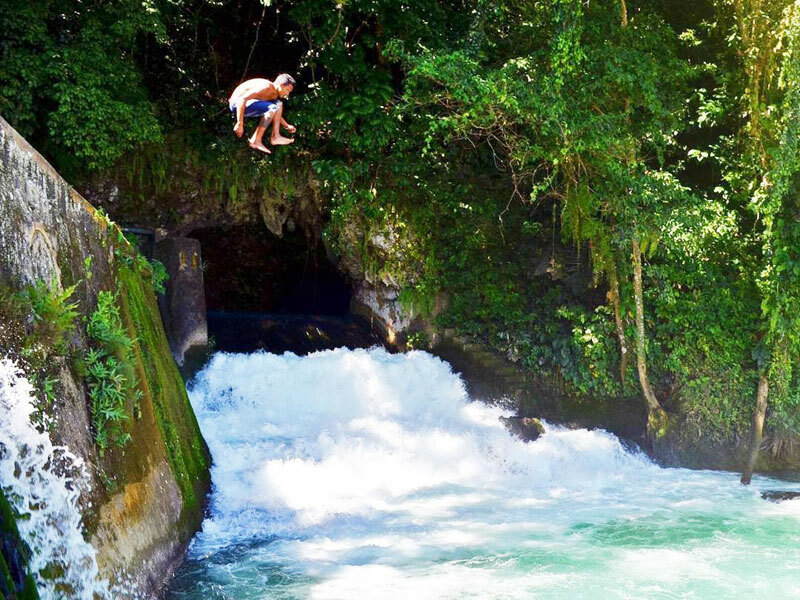 If you’re brave enough, tube down the river! 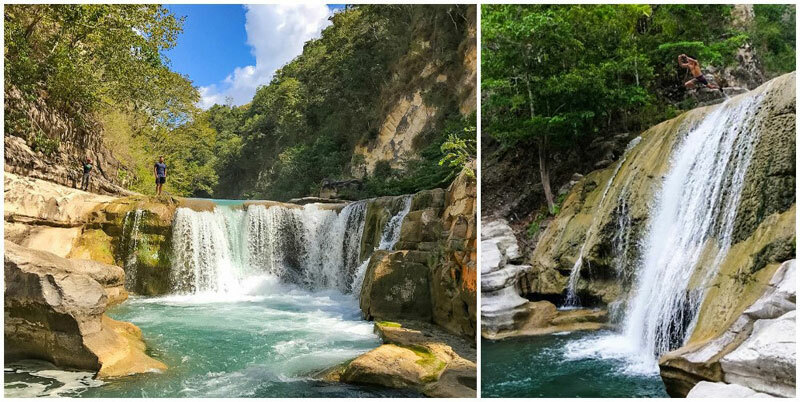 Although this place is far from the town and roads there are bumpy, the time and effort taken would be worth it when you catch sight of this natural beauty. 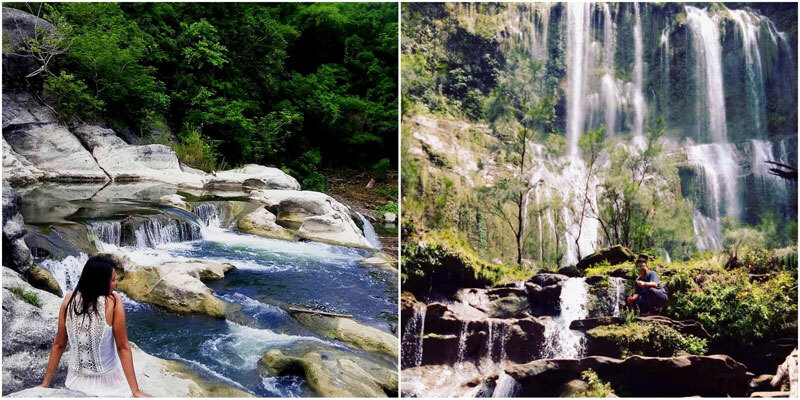 Located 45 km north of Waingapu, the waterfall is best reached via car or motorbike. You’ll pass through the traditional villages of Mondu and Prainatang. Coordinates here. 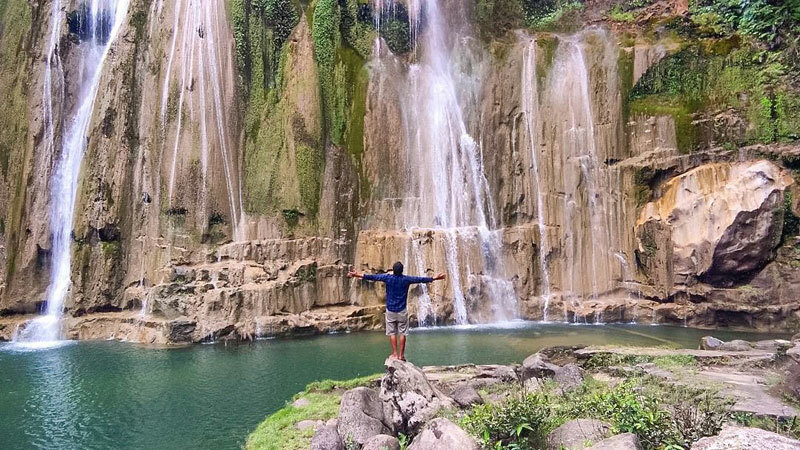 This is probably the most unique waterfall in Sumba. 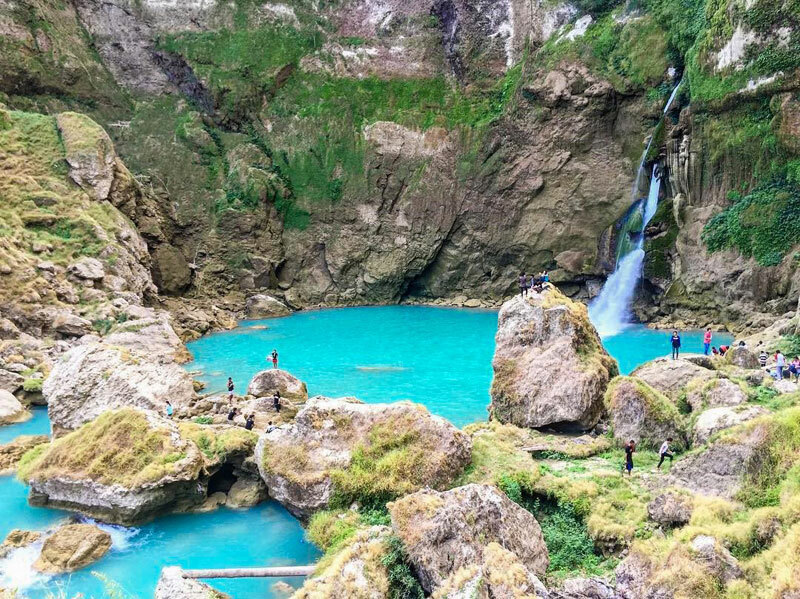 This 75-metre-high waterfall flows through a crack in the cliff wall, spitting roaring water into a pool of clear blue water. In the local language, Matayangu means “stops here”, referring to traditional beliefs that ancestral Marapu spirits dwell here. There’s a small cave behind the waterfall that is visible during the dry season when the water volume is down. Matayangu is located in the Manupeu Tanah Daru National Park, where you can find unique flora and fauna. For instance, if you have sharp eyes, you can discover 57 species of butterflies, including seven endemic species native to Sumba Island! 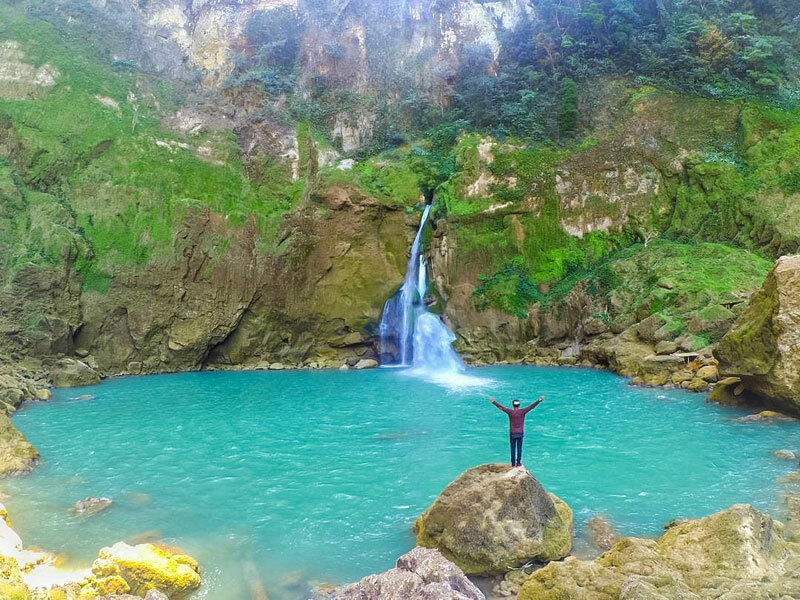 The waterfall is located in Waimanu village in central Sumba, and it takes around 2 hours to drive here from Waikabubak. 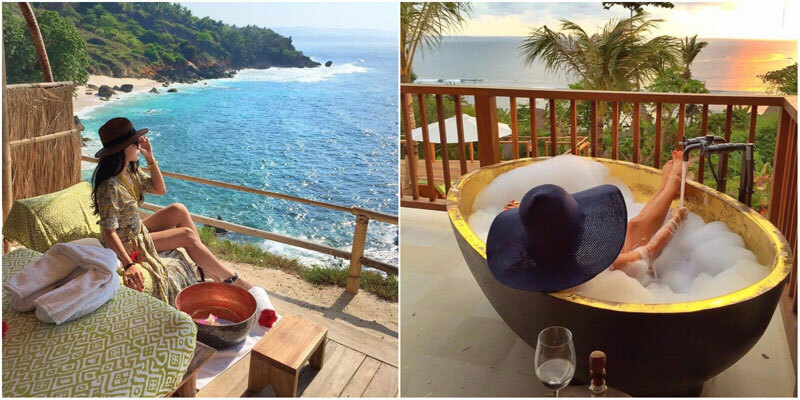 Staying at this unpretentious luxurious beachfront resort doesn’t mean extravagance and excesses. Did you know that while you’re enjoying a slice of heaven at Nihiwatu Resort, you’re actually making a difference to the local communities? 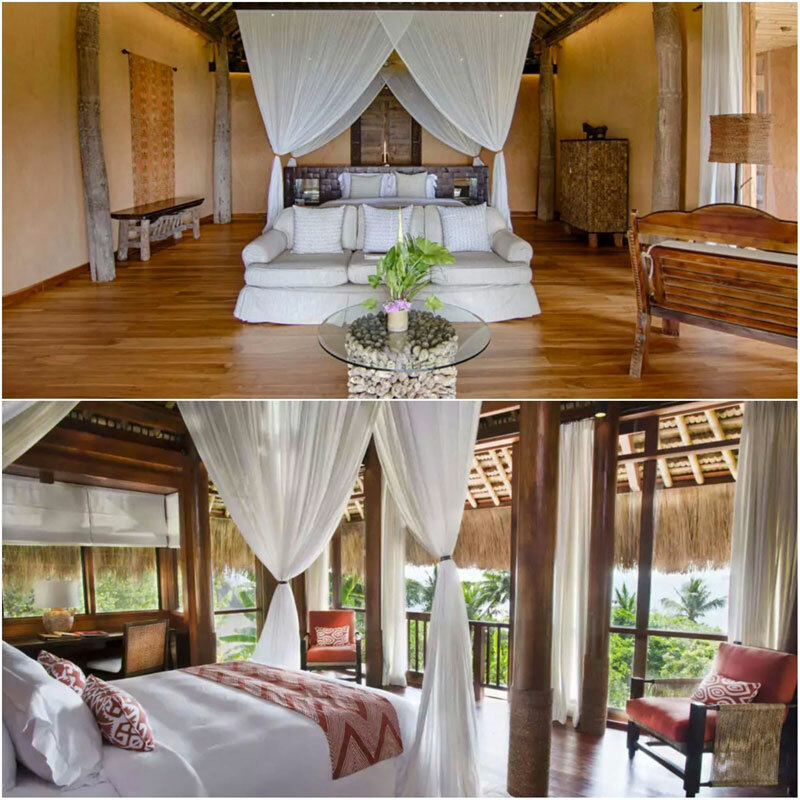 Nihiwatu Resort started The Sumba Foundation that is committed to providing humanitarian aid to the local communities by fostering village-based projects in health (including access to healthcare and malaria control), education, water and income-generation. 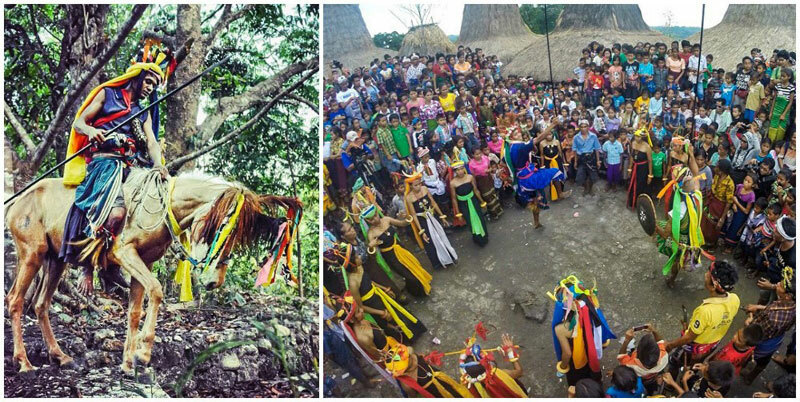 It is done in a way that preserves and respects the culture of the Sumbanese people. 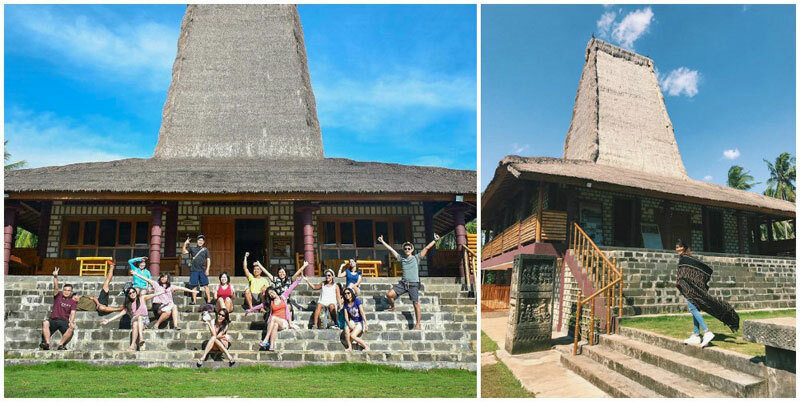 The kitchen waste from this eco-friendly resort even makes gas for the stoves! 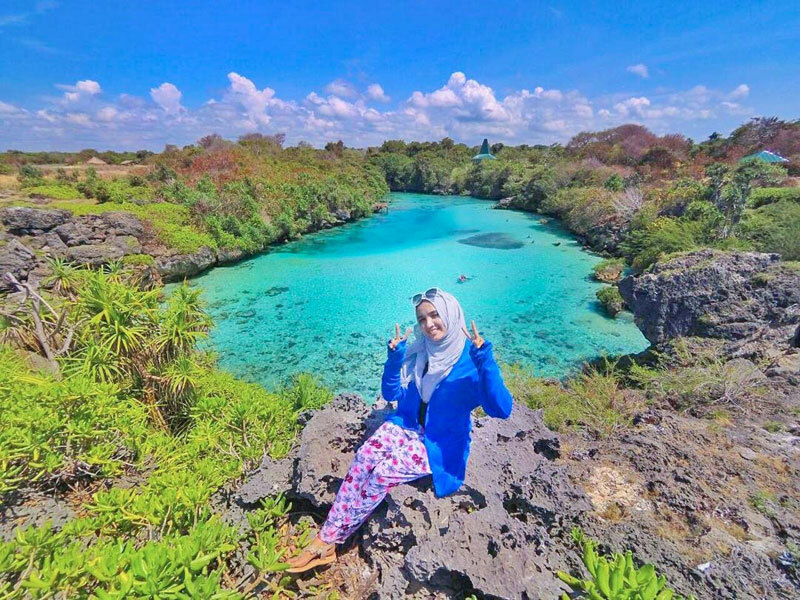 Address: Nihiwatu, Hoba Wawi, Wanokaka, Sumba, Nusa Tenggara Timur. Forget about Stonehenge in England. How about megalithic graves that resemble “Hall of Faces” from the Game of Thrones? Instead of faces, you’ll see intricate carvings of deceased royals from the past. Several villages (Pasunga, Gallu Bakul and Ana Bura) near Waikabubak on the west side of the island also possess well-preserved large megalithic tombs. 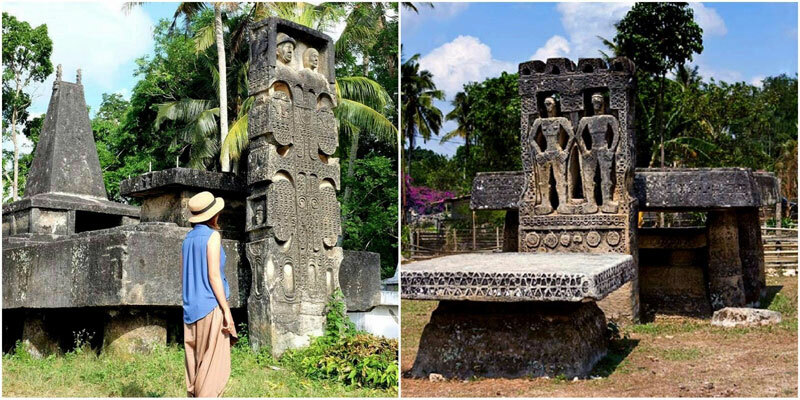 In Pasunga, there is an upright stone slab donned with a carved portrait of a chief and his wife built in 1926. It’s rumored that 150 buffaloes were sacrificed during the funeral. Four kilometres down the road, in tiny village of Gallu Bakul, you’ll find another large tomb with symbolic designs of male and female heads at the apex. Its proportions are 5 by 4 by 0.5 metres — an impressive sight! The villages are situated 20 km east of Waikabubak and are best reached via car or motorbike. 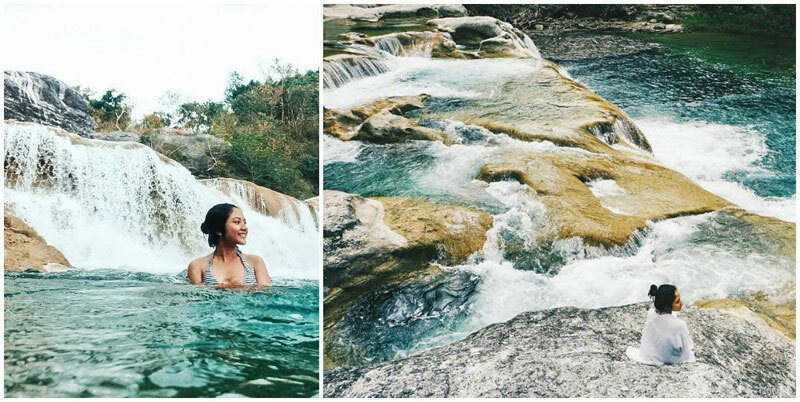 This gorgeous waterfall is located not far from Maidang village, and requires some hiking to find this spot. Passing through two rivers, you have to walk through the flowing river to cross it, so make sure you have a good sandals! 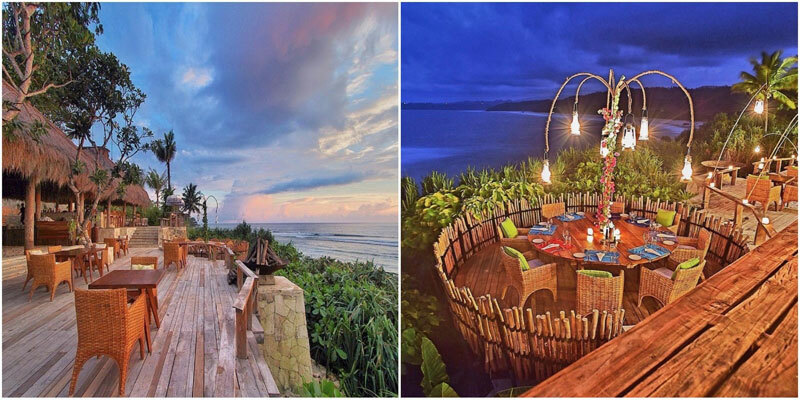 This is where you’ll get a taste of Sumba’s wilderness and natural beauty. 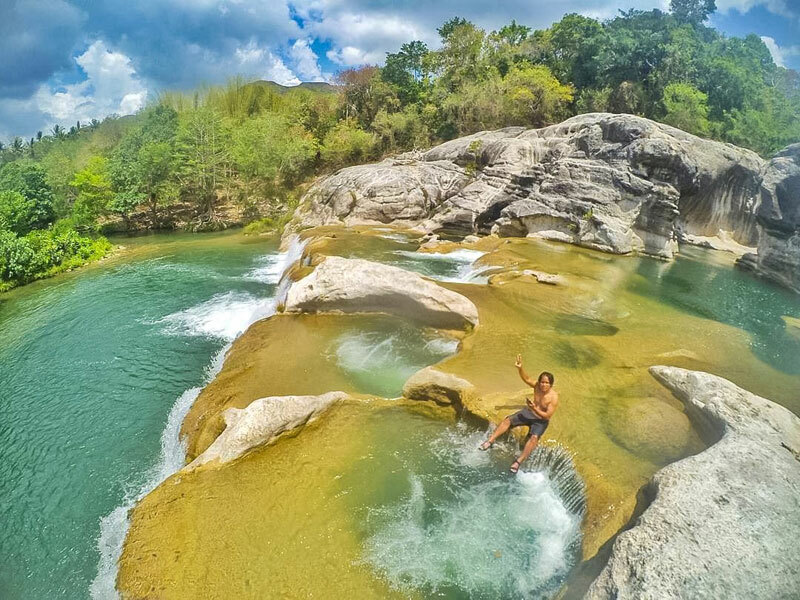 The unique rock formation caused by the water stream creates calm water pools — natural jacuzzis indeed. Take a dip in the refreshing water! 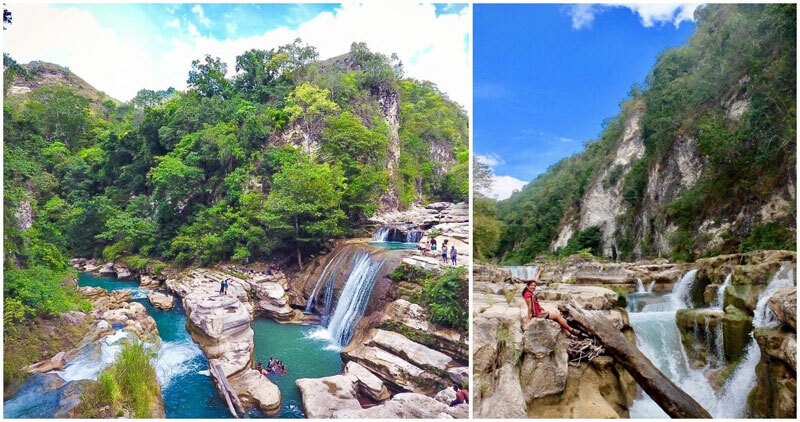 Koalat Waterfall is about 70 km from Waingapu in east Sumba and is best reached via car or motorbike. Coordinates here. Here, you can find crystal blue water with soft white sands and coconut trees lined up quietly on the shore. 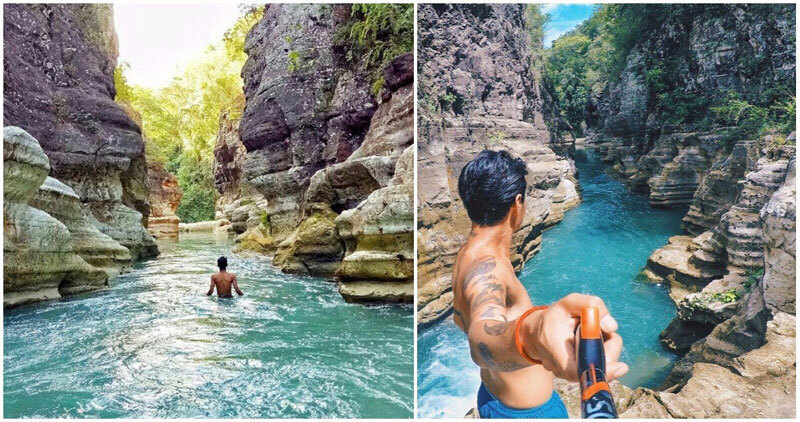 Climb to the top of the rock formation – the view is absolutely amazing, so make sure you bring a good selfie stick. As this is a lesser known beach, it is quite unlikely that you will meet other travellers. But if you’re lucky, you may be able to see fishermen returning from the sea, bringing catch of the day. 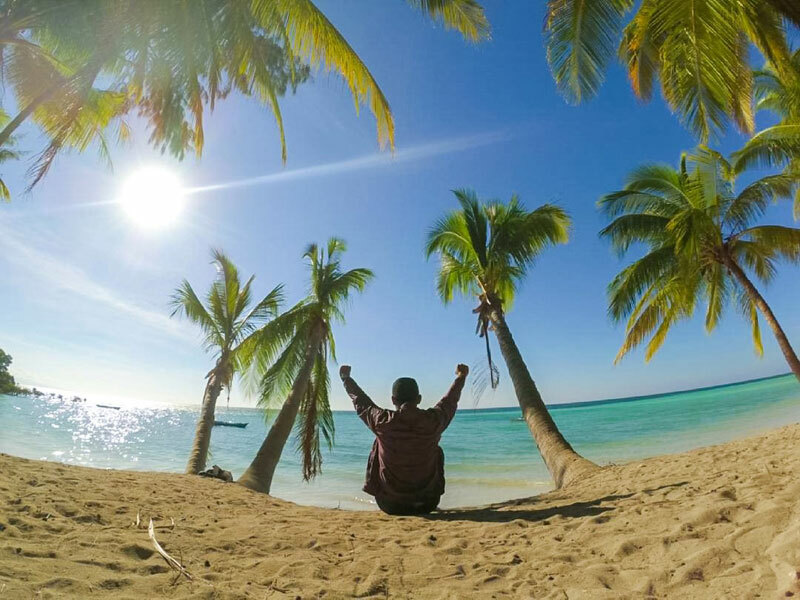 Watu Parunu is ideal for swimming, but if you prefer to surf, it’s better to head to the nearby Kalala beach where you can find some of the island’s best waves. 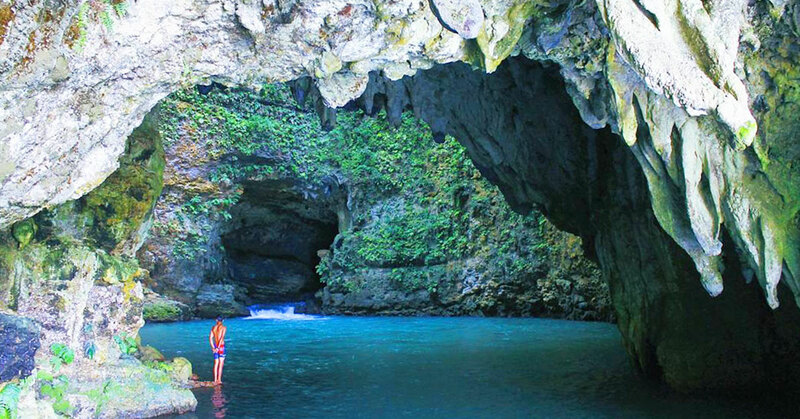 Watu Parunu is located in close to Kalala beach, 125 km from Waingapu and 60 km from Melolo. You can take daily buses from Waingapu (Rp. 40,000 or USD 3) for 4 hours to Baing. From there, walk the last 2 km to Kalala beach, or arrange an ojek to the beach. 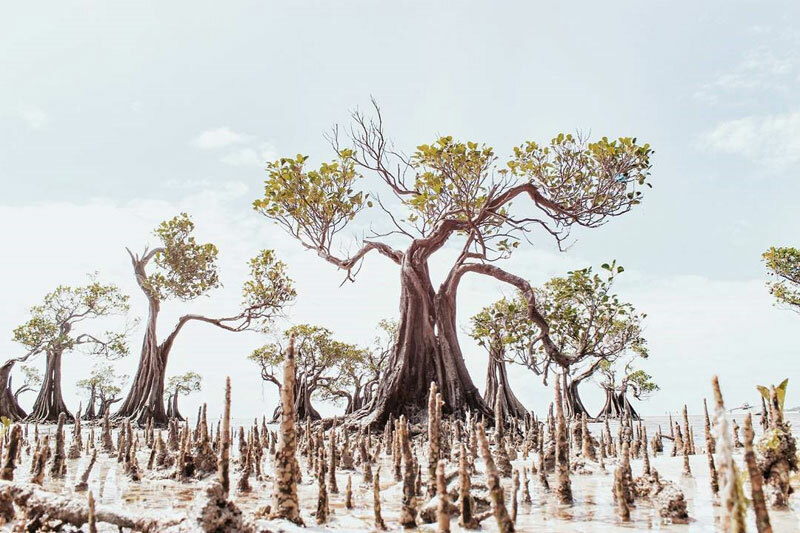 Walakiri has a beautiful stretch of white sandy beach with gentle waves, coconut trees and unique pygmy mangroves you can’t miss. When the tide is low, the beach is shallow with a soft sandy bottom that is perfect for swimming. 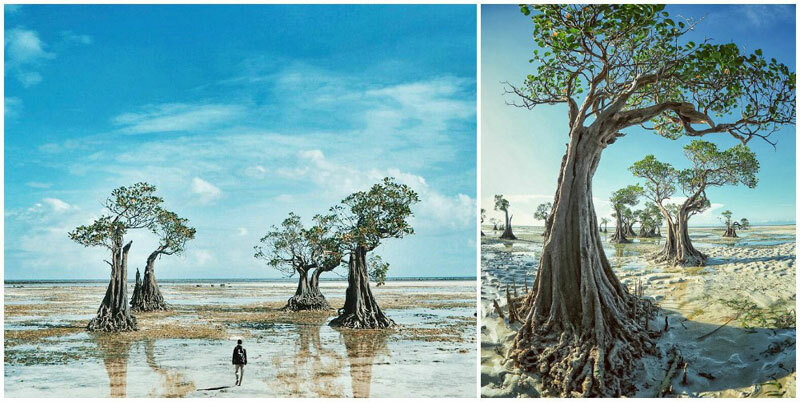 You’ll also spot seaweed farms on the edge of the sandbank near the mangroves. If you’re in the mood to pick up seashells on the sand, you’re in luck – this beach has plenty of them. Oh and did we forget to mention about the gorgeous sunset? Drive eastwards from Waingapu to Malolo. It should take around 30 minutes. Coordinates here. 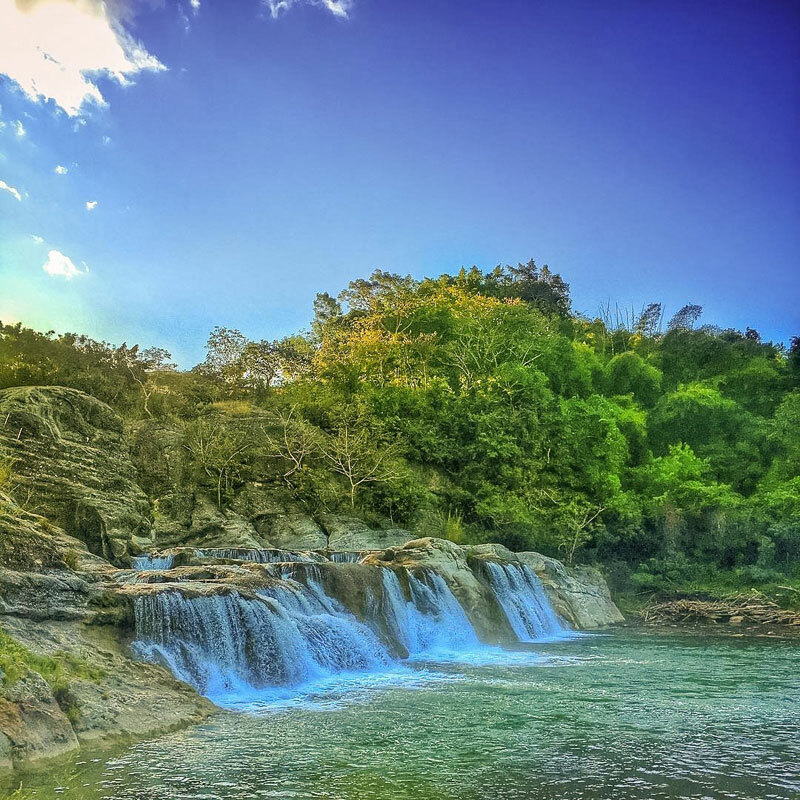 In Sumbanese language, Kanabu Wai simply means “waterfall.” Don’t you think that this spectacular waterfall resembles those in old Chinese paintings? The water flows out from several cracks in the large expanse of rock wall, with vegetation growing in between. 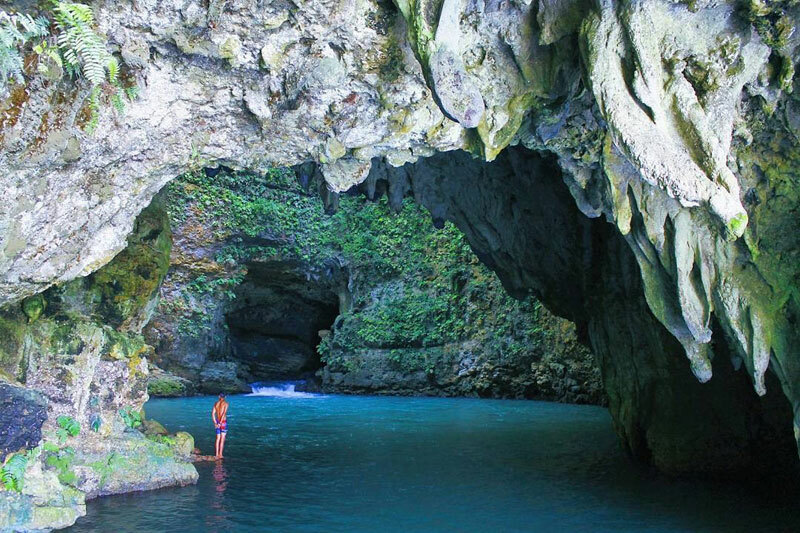 Here’s the catch though – this hidden gem is tough to find and only for those who really have a sense of adventure. From Waikanabu village (the nearest human civilization), you’ll need to trek for up to 12 hours (depending on your speed) along the river, so you may want to camp in the jungle during the journey. But your hard work will be rewarded with an unbelievable sight of the waterfall, and the journey itself would be a good story to tell! Drive to Waikanabu village (130 km from Waingapu) and start trekking from there. An alternative route is to go through Mahaniwa Village in Pinupahar district, which can only be reached via a 4-hour walk through the wilderness. Coordinates here. This unspoiled savannah is a sight to behold. 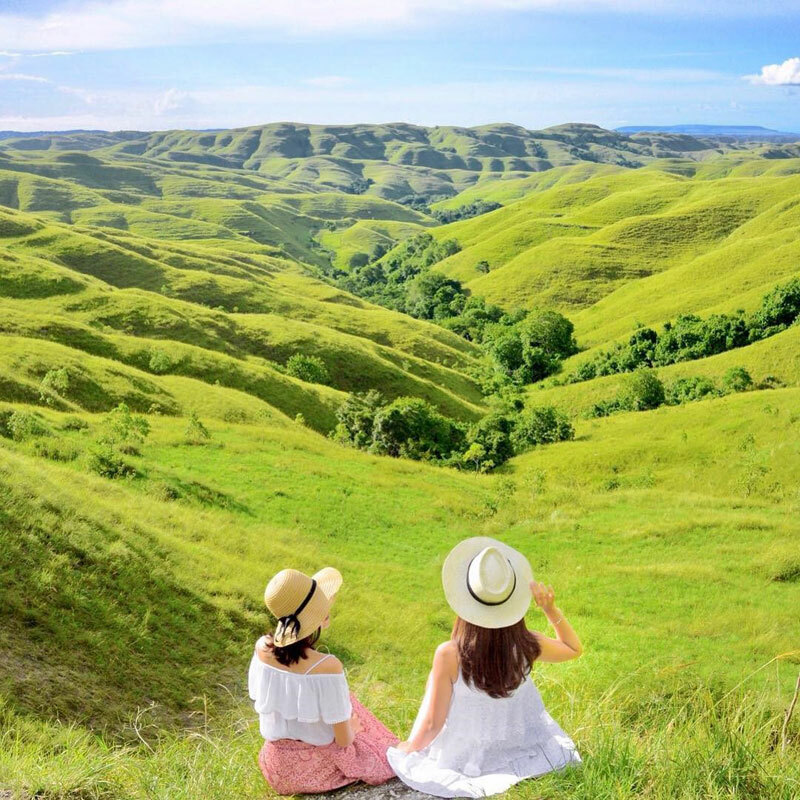 With green beds of grass zig-zagging across the horizon, this is a perfect spot to unwind and relax at after a long hike and gaze out at the limestone hills covered in soft greenery. Let the winds caress your skin and let your mind to wander in the tranquility, where there’s only you and nature. Although the savannah appears fierce green during the rainy season (November-May), it transforms into a beautiful field of gold in the dry season (July-October), reminding you of the exotic beauty of a desert savannah! The Savannah is located 30 minutes west of Waingapu and best reached via car or motorbike. Coordinates here. 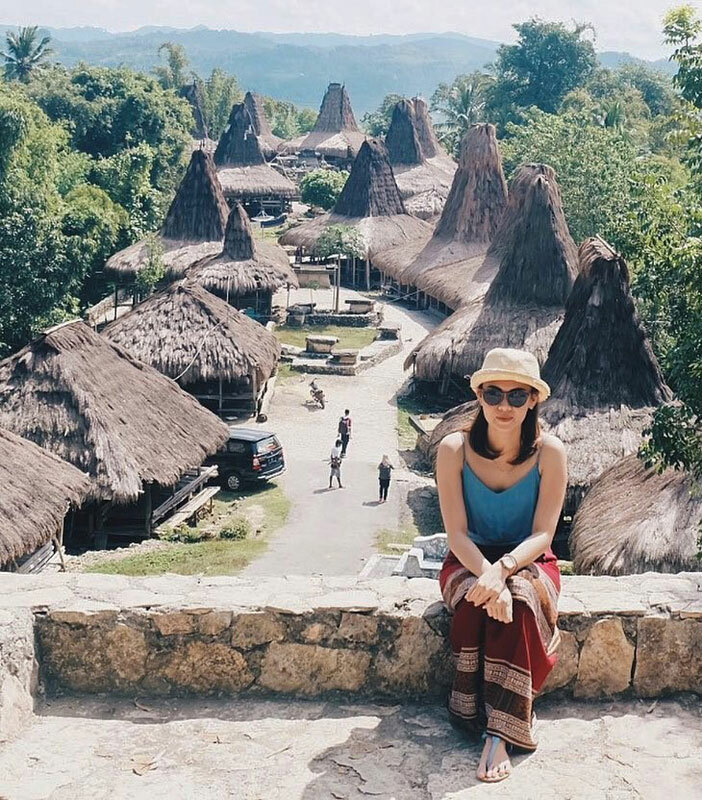 Waikabubak is the largest town and gateway to the wild West Sumba. The weather here is cooler than along the coast, and almost every forested hill is home to traditional villages. We recommend hiring a local guide who can explain to you the history and culture of the area. 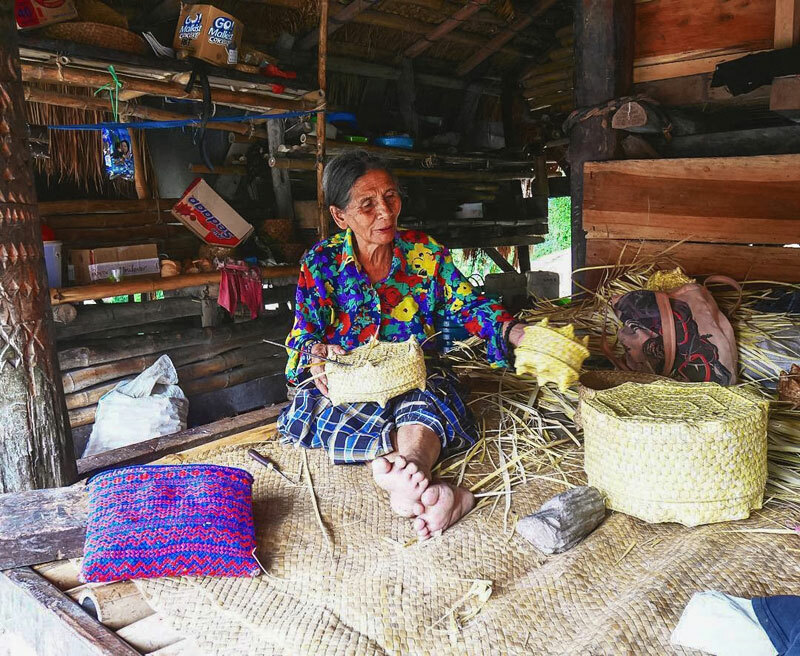 While you’re here, ask your guide to bring you to art shops and local homes where the women weave the traditional rice granaries. These baskets comes in all sizes, and five men holding hands can stand in the largest of these rice storage containers – imagine! They’re made from the fibre of Melinjo, a native tree which produces fruit that can be made into crackers. Drive to the town of Waikabubak. From here, Tarung village and the neighbouring village of Waitabar, along with Bodo Ede, Tambelar and Elu villages are easily accessible by foot. 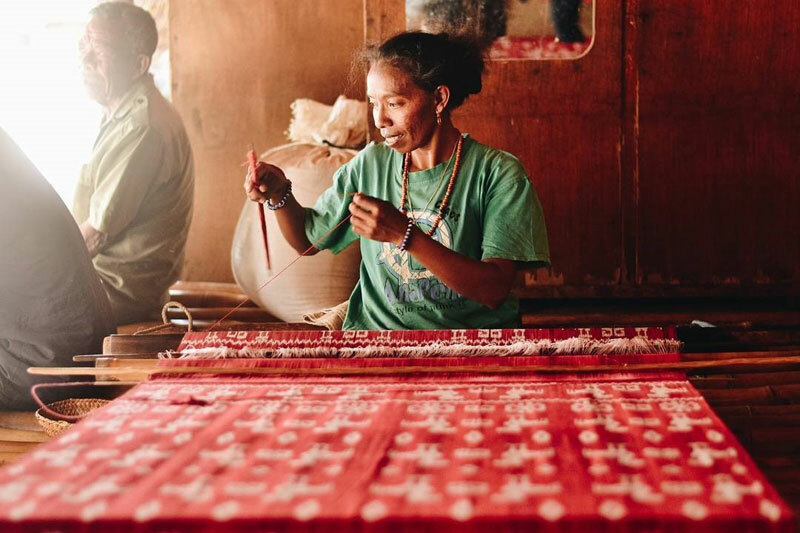 In traditional villages such as Kampung Tarung, you can find local women weaving beautiful textiles that can take up to a year to complete. Clothes made from ikat are usually worn at important ceremonies to showcase one’s social status. Sumba has its own unique variations of ikat, mostly depicting animals and tribal designs. Ikat means “to bind,” a style of weaving that uses a resist dyeing process on either a warp or weft before the threads are woven to create a pattern or design. “Double Ikat” is used when both the warp and the weft are coloured before weaving. 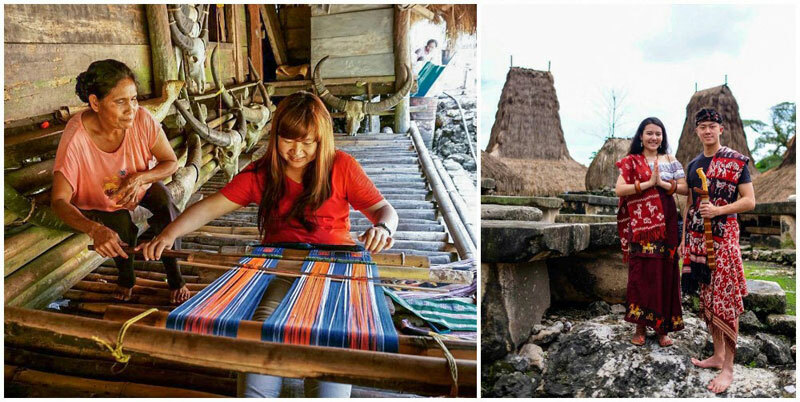 In Sumba, ikat is traditionally dyed with local plants such as Kombu and Indigo, together with other minerals. 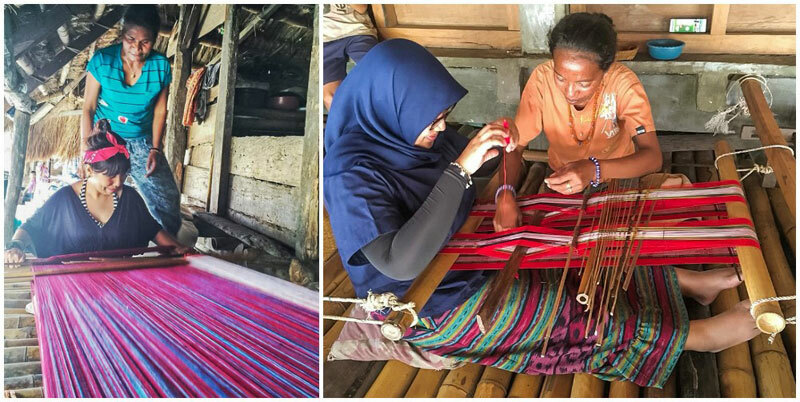 Ask your guide to bring you or you can simply visit a village and join ikat weaving classes held by the locals. 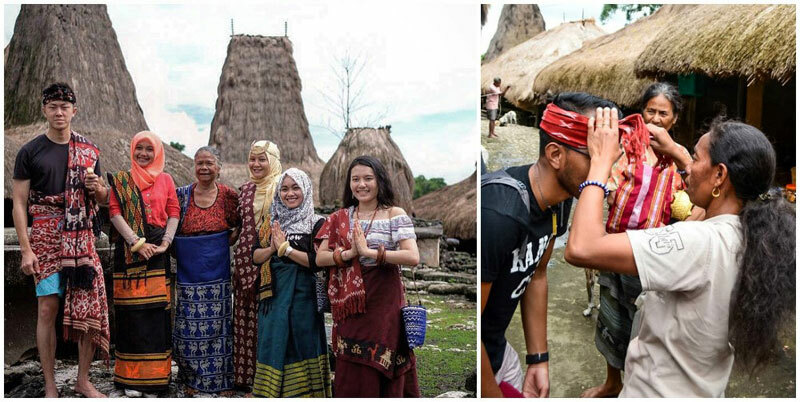 Kampung Tarung (together with Waitabar) is on the village trail for tourists with most tour agencies. It’s reachable by foot once you’re in Waikabubak. Located in Waitabula, this donation-based cultural institute (otherwise known as Rumah Budaya) has more than 500 artifacts from all over the island, dating back to the 16th Century. You can find displays of old photographs, various pottery and an ongoing project that shows how tombs are carved. If you want to take a break from nature and wilderness, stop by the institute to learn the history and connect the dots. 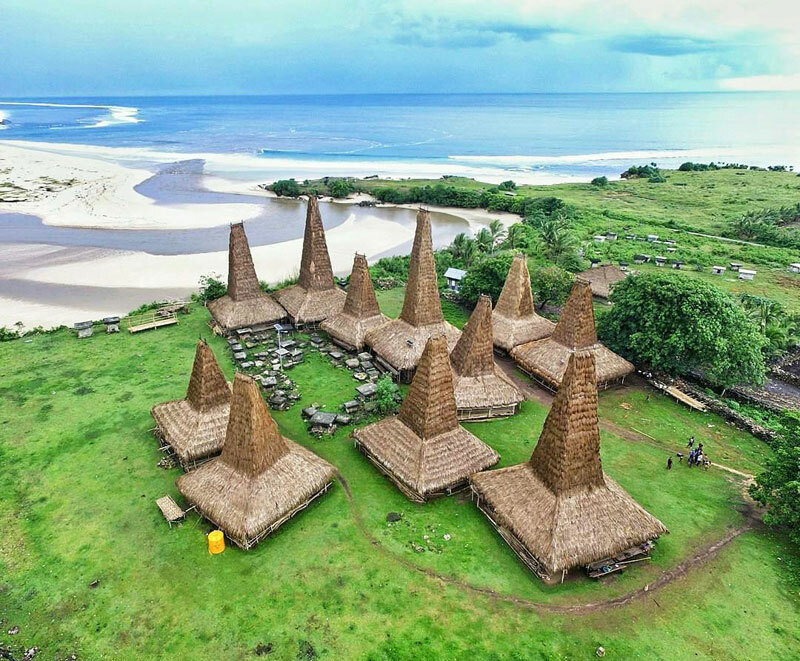 Initiated by a Catholic priest, Father Robert Ramone, the sole purpose of the institute is to preserve the local culture of Sumba. Through private donations, Rumah Budaya has helped locals to build and rebuild 78 traditional houses. 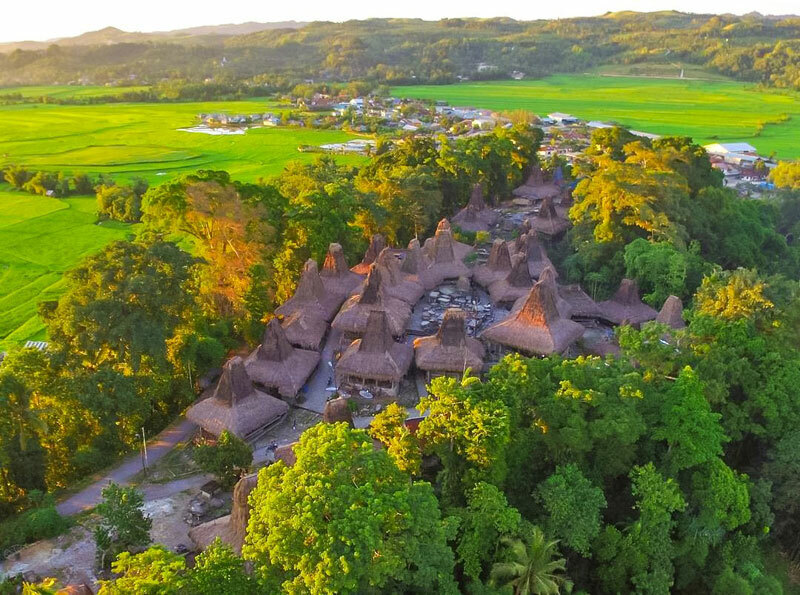 In addition to the museum, Rumah Budaya also provides accommodation, meeting rooms, tour packages and transport options for everyone who wants to experience Sumba. 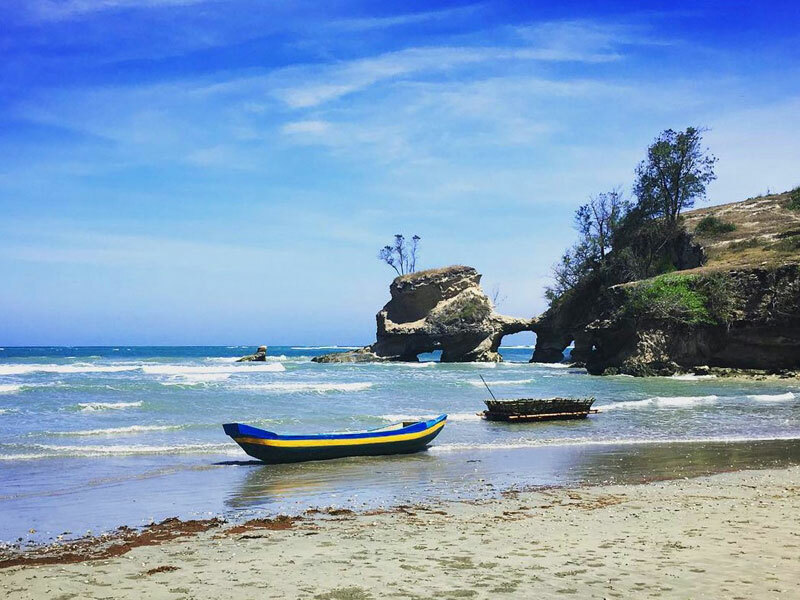 It’s located 3 kilometres west of centre of Waitabula and can be reached via by private transport or ojek. Traditional spear-fighting competitions, otherwise known as Pasola ceremonies, take place every year around February and March (during the full moon) in West Sumba. This is probably one of the biggest attractions for foreigners coming to Sumba. The intention of this festival is to spill blood between the tribes to fertilise the land, please the Marapu gods and to ensure a successful harvest. There are no winners and few rules apply. Two teams of spear-wielding and ikat-clad horsemen brace each other in this extravagant tournament. You’ll find many local homes opening their doors to visitors and temporary snack stalls being set up near the Pasola field. It’s festive, eventful, and yes – bloody. Even at the start of the festival, your adrenaline will get pumping as you watch the men march towards each other. After the march, the women place offerings on the tombs, and sing and chant ritual songs late into the night. The songs attract the appearance of nayle worms (a species of sea-worm), and when this occurs, a chicken is sacrificed and the Pasola can officially begin. 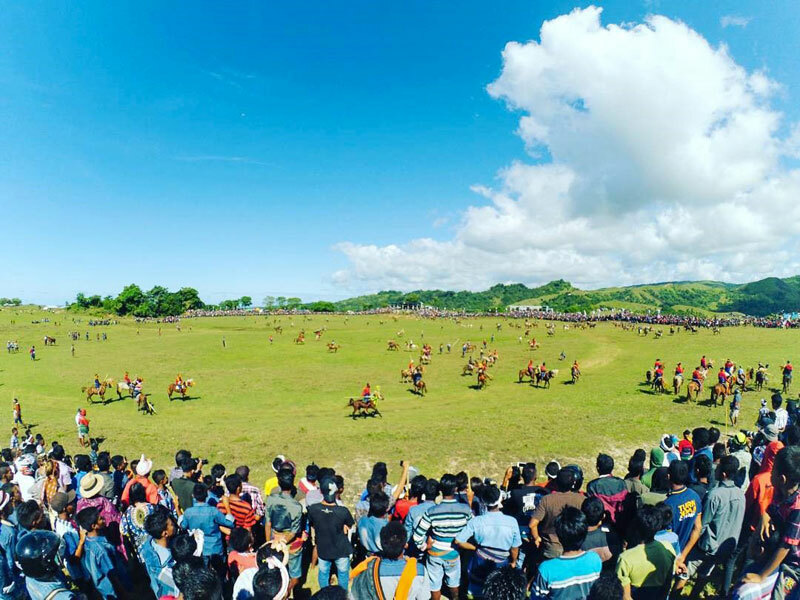 The festival takes place annually in Kodi, Lamboya and Wanokaka in West Sumba, and you can reach these areas by private transport. As this is a popular festival, most tour operators will include this in their itineraries. 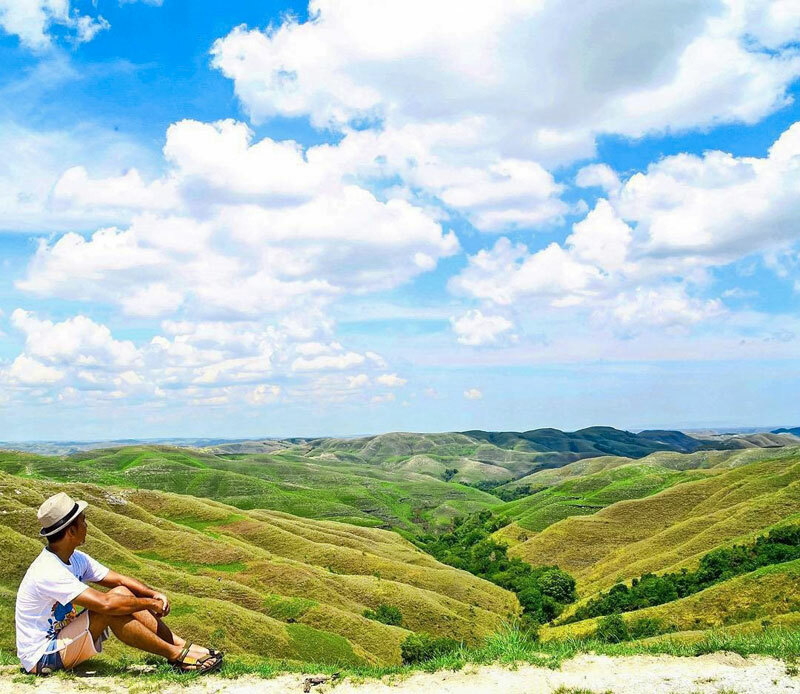 Now that you’ve a better idea of what to hunt for in Sumba, are you gearing up to go? Before you book your flight, please read up on the following important safety information and tips! 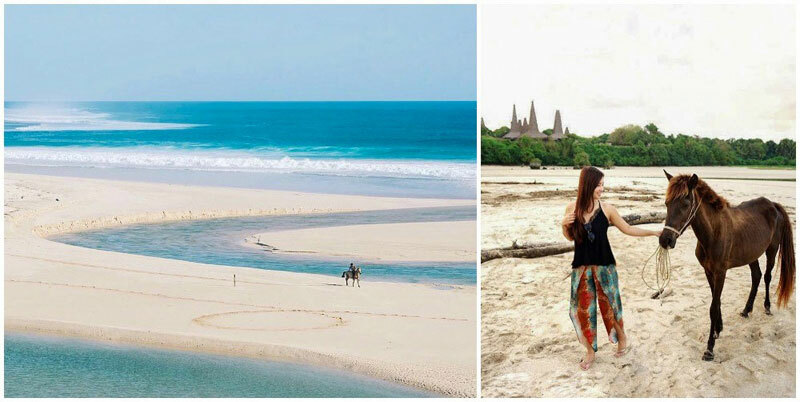 The best time to travel to Sumba is between April and July, after the monsoon. If you are a surfer, you may want to visit during the period of May to September. It’s generally more rainy from November to April. If you don’t want to be hunted down by tribal warriors like in the movie King Kong, it’s best not to wander around on your own, especially at night. Just kidding! 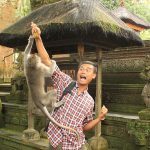 Crime against tourists is unheard of in Sumba, but be wary of the notorious bandits in the Kodi area (Southwest Sumba). Also, bear in mind that you may not be able to find emergency help easily if you are travelling in remote areas, especially if you are alone. So make sure you travel in groups and hire a local guide if you are exploring off-road places! Yes, the risk of malaria is unfortunately still present in Sumba, like many rural areas in Indonesia. Don’t feed the vampires! Before you go, consult your family doctor on anti-malaria medication you can take, and remember to bring light long-sleeved clothes and lots of mosquito repellent! Make sure your accommodation provides mosquito nets for you to sleep in too. 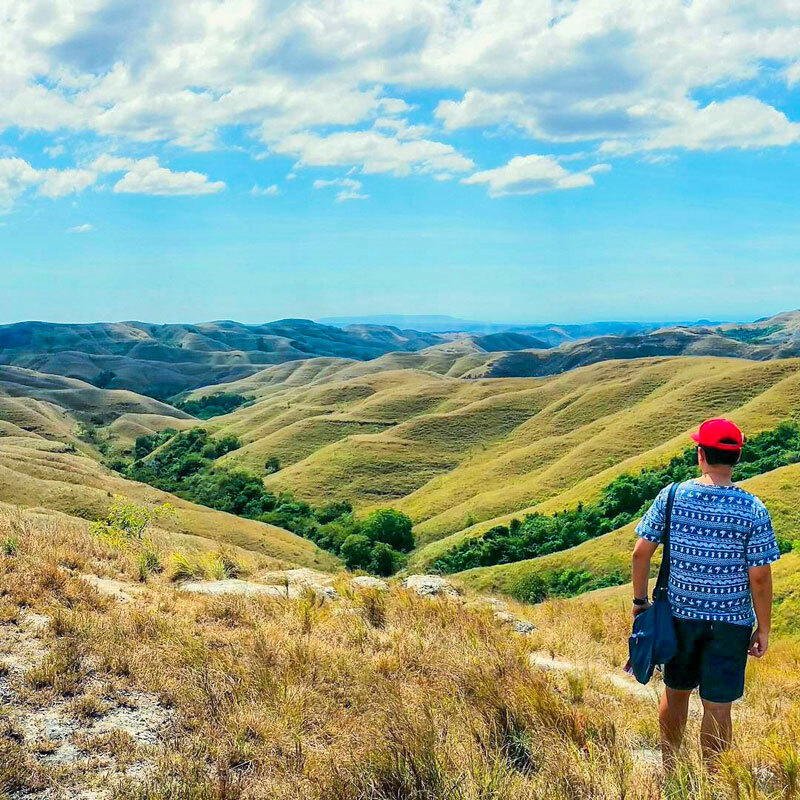 Here are some travel hacks and tricks that will help you to get the most out of your adventure in Sumba. 1. Cash is king. There are ATM machines in Sumba’s main towns – Waingapu (capital), Waitabula, and Waikabubak. Bank BNI and Mandiri are the most reliable and have better exchange rates. As you leave the bigger towns, change your cash into smaller bills as it is very difficult to find change for large bills in the villages. 2. Pack a flashlight. Like many rural regions in Indonesia, electricity is scarce. It’s common for generators to start running out of fuel after sunset and people use electricity sparingly. To prepare yourself for blackouts (which often happens), bring a flashlight with you if you want to catch up on some reading at night! 3. Get a prepaid SIM card if you want to be able to call, use the internet and GPS on your phone (this is important if you are driving and using Google Maps!). Simpati and Kartu As (from Telkomsel) are the only mobile networks that have good coverage (for calls and internet) on the island. Make sure to fill up your mobile phone credit (pulsa) before you leave the bigger towns. 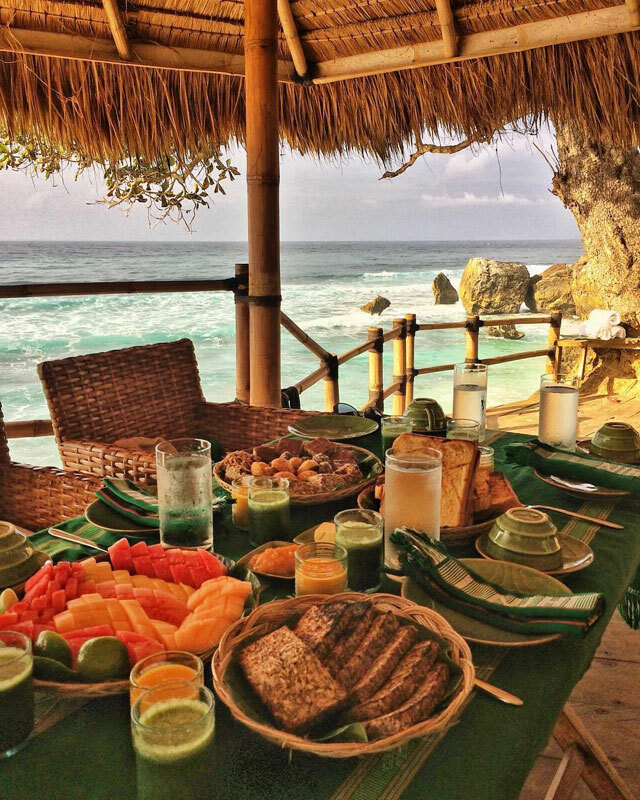 Since Sumba is a rural area, hiring a guide or travelling with a tour group will save you a lot of money and gives you a better overview of what the island has to offer. It can also save you a lot of headache dealing with language barriers if you are not travelling with a friend who speaks and understands Bahasa Indonesia. 5D/4N Sumba Culture Tours. Return flights from Denpasar included. Rates: USD 650 per person, minimum 2 people required. 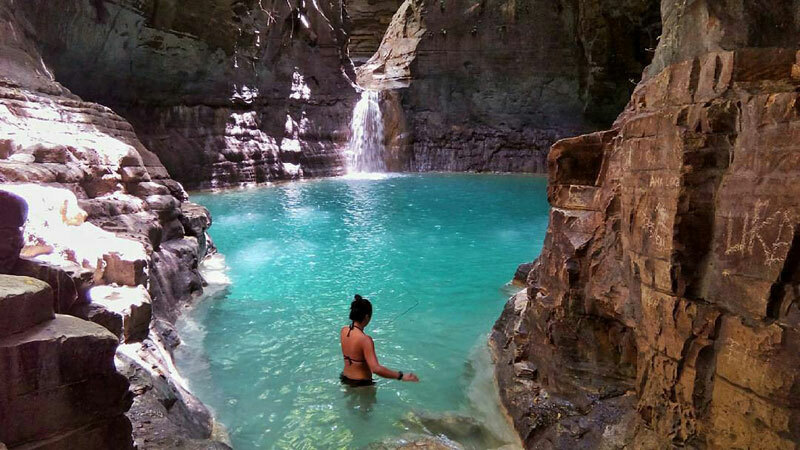 12D/11N Sumba – Flores – Komodo Explore tours. Return flights from Denpasar included. Rates: USD 1750 per person. 3D/2N Sumba Adventure Tour. You need to enquire directly with them for details and prices. 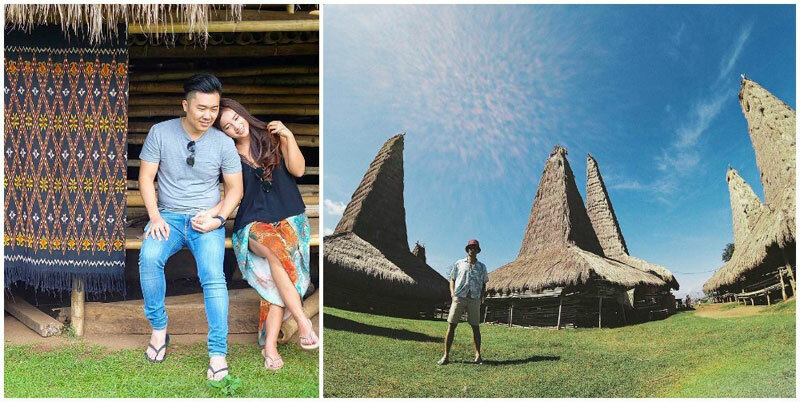 5D/4N Sumba Megalithic & Culture Tour. You need to enquire directly with them for details and prices. 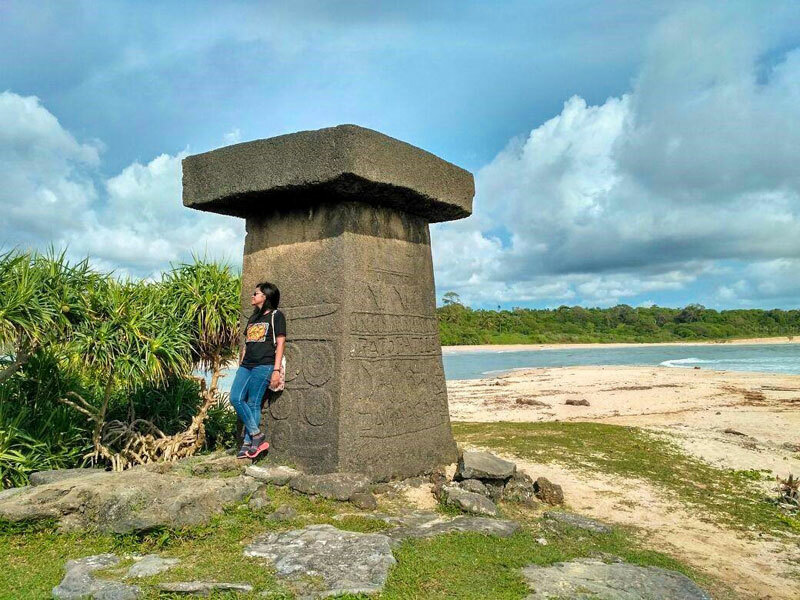 10D/9N Discover Mysterious Sumba tour. You need to enquire directly with them for details and prices. 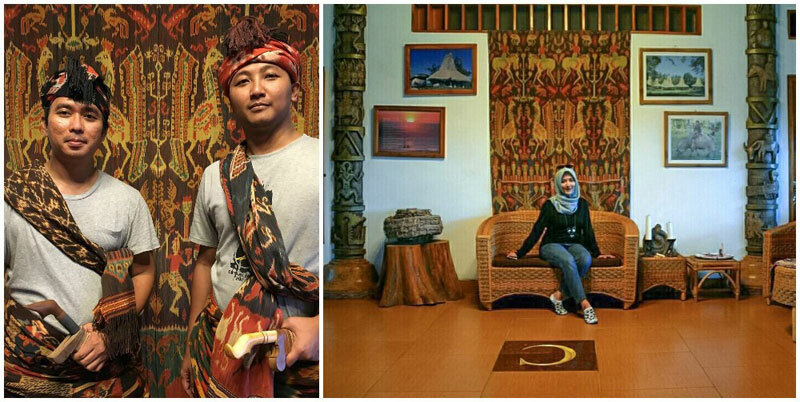 He’s the owner of Sumba Adventure Tours and Travel, a local tour operator. Not the cheapest, but he is competent, helpful and flexible. He speaks English well and the team is based in Tambolaka. She speaks English and French. Yuliana can guide you by car, motorcycle or even by horse and she is well-informed on all regional issues. 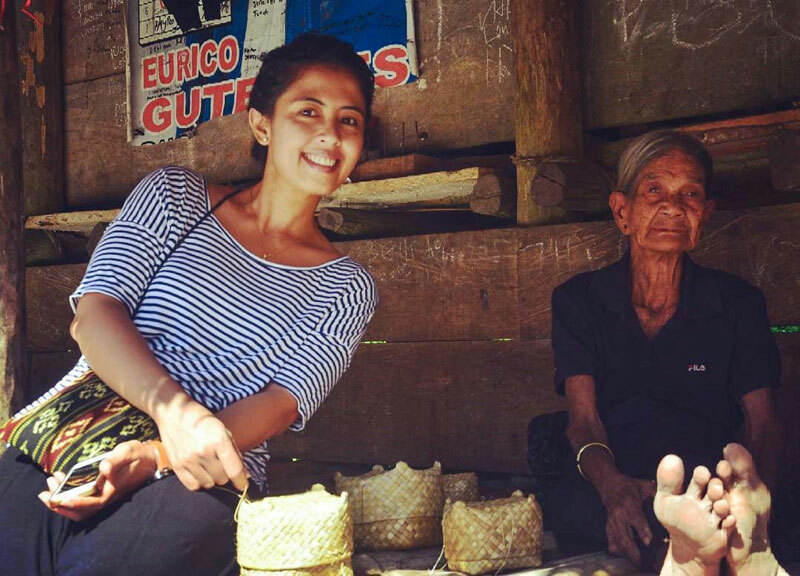 She and her family lives in the traditional Marapu village Tarung in Waikabubak. He works at the ticket office Bilbo Tour & Travel in Waitabula. He speaks good English and is very flexible with tours. Have we inspired you to travel to this mysterious island? 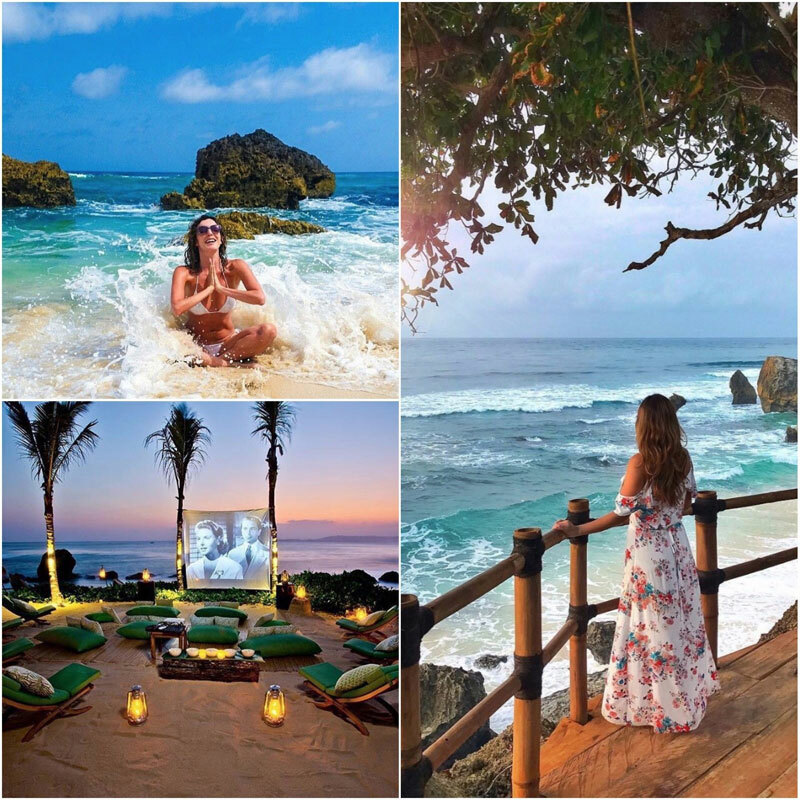 Is there anything else you would like to know about Sumba, or do you know of any other hidden attractions we have not included? We would love to hear from you. Drop us a comment below! Sten is the founder of StayMarta, an online marketplace connecting travelers with Christian accommodations and adventures worldwide. When he's not busy working on the startup, he wishes he's trekking the wilderness somewhere or exploring the hidden alleys of great cities around the world. Currently in Bali, working at The Outpost.